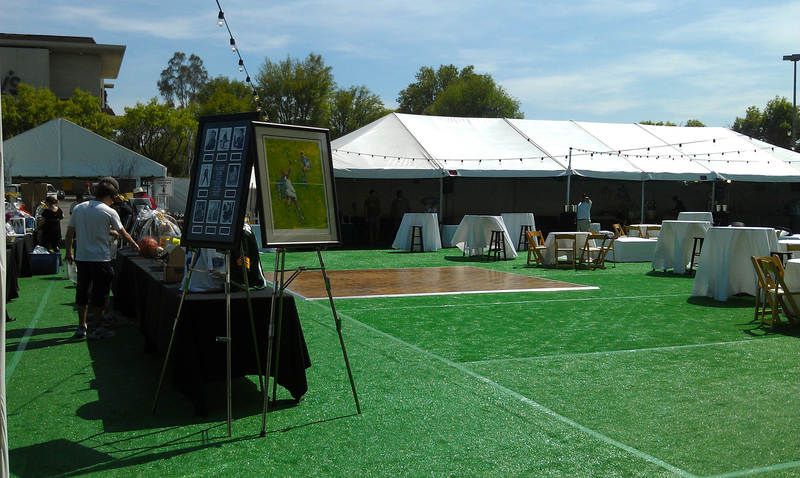 On Saturday I worked an event with Enegren Brewing Company benefiting adults with developmental disabilities. 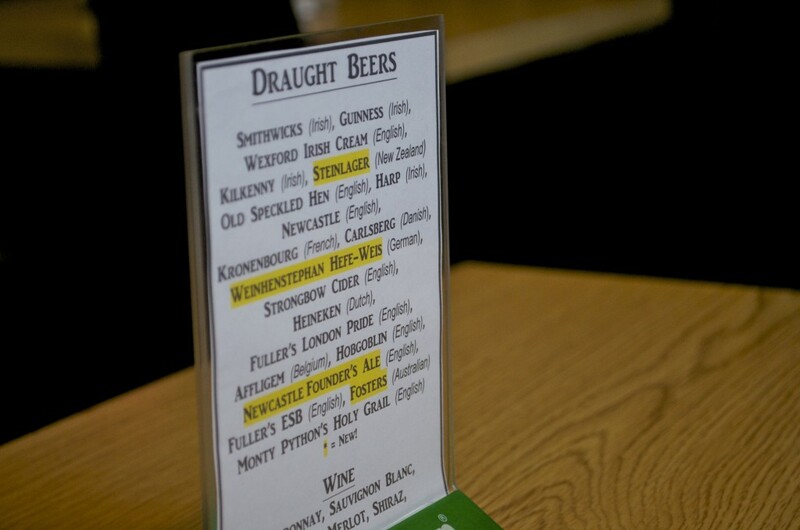 Enegren donated beer, and we were one of 27 booths pitching in to this great cause. This view is starting to look familiar! So many beer events lately! 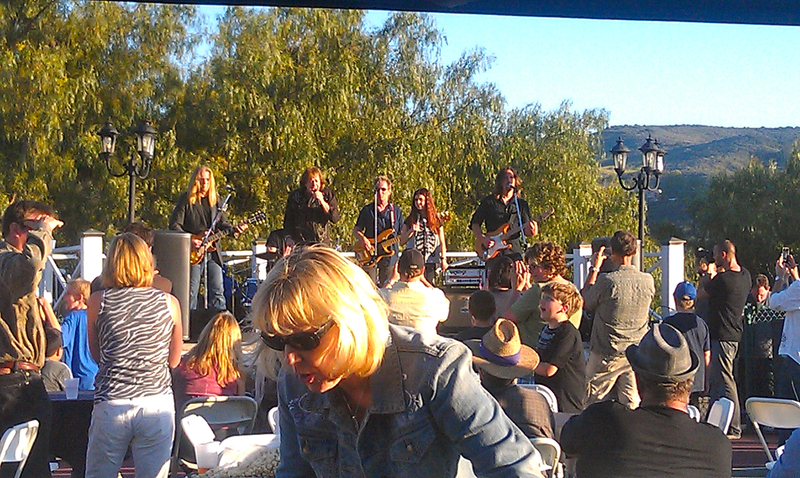 The festival was located in a beautiful house in Simi Valley. I went inside to check out the silent auction and stumbled across some of my former/slightly still current boss Ora’s art!!! 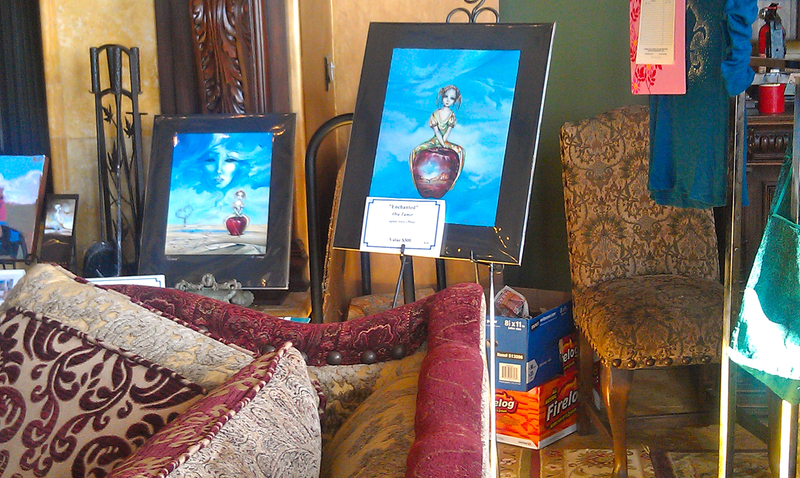 She was working an art show in Woodland Hills this weekend and unable to attend, so she donated these beautiful prints. Our booth was placed along the tennis courts/basketball court with a bunch of other vendors and a stage for musical performances across the way. The courts were packed with people, and Eddie kept calling out for his “Ladies from the eighties” to come up and sing with him. They obliged. Eddie also sang a duet with an autistic teen who, until four years old, was uncommunicative. To watch this girl belt out with Eddie was absolutely amazing! The event seemed like a great success! I got a chance to enjoy the beautiful sunset with the marine layer rolling in over the mountains before we packed up. I can’t wait to participate in more of these great causes! I’ve got a few coming up for Wolf Creek – I’ll be sure to keep you updated. Now, after a long brew day and scrubbing of boil kettles that left my hands dry and raw, I’m going to collapse on the couch and never get up. Until it’s time to fill kegs and clean some more tomorrey, that is. It’s been another crazy week! I have a feeling this will end up being the main theme of all my weeks at work. After brew day on Tuesday, I woke up to a surprise day off from work. What’s a girl to do with all that time on her hands? 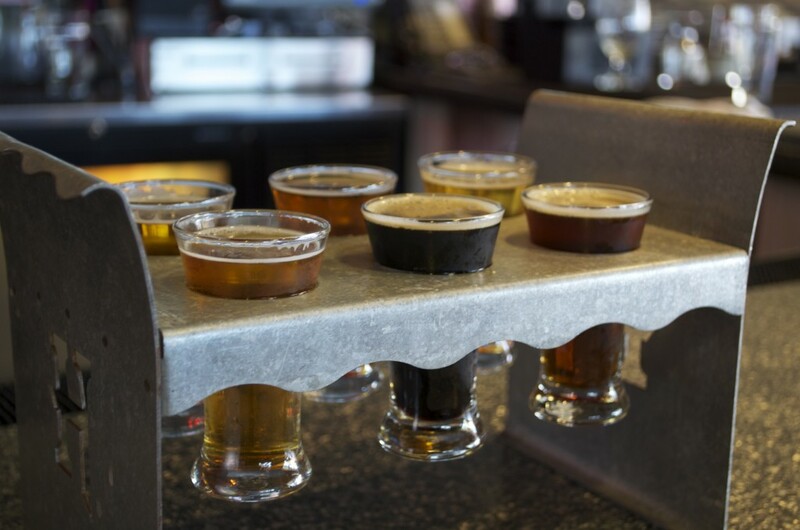 Visit more breweries – were you expecting something else? 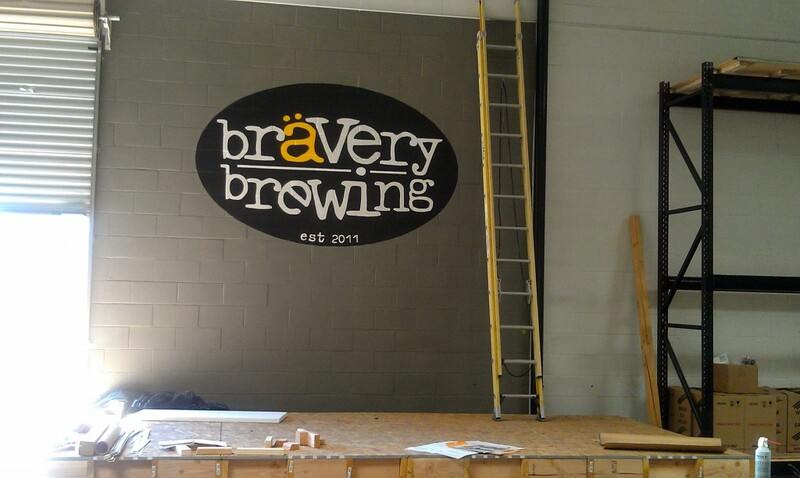 First up was a trip to Bravery Brewing in Lancaster. This place hasn’t officially opened yet, but brewmaster Brian Avery let us get a sneak peak at his 3 bbl system and check out the space. 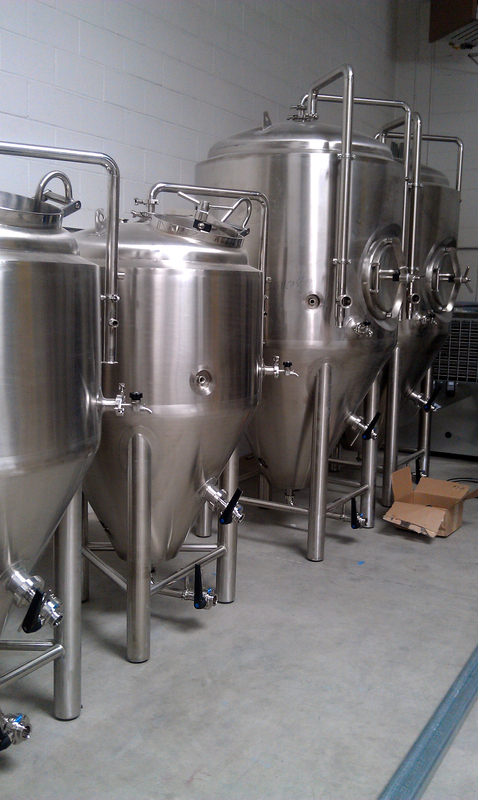 Just a quick teaser of the brewery – I’ll do a full write up once he’s up and brewing. This place is going to be amazing! Afterwards, we headed over to Kinetic Brewing, also in Lancaster, and got a quick tour of their 10 bbl system. 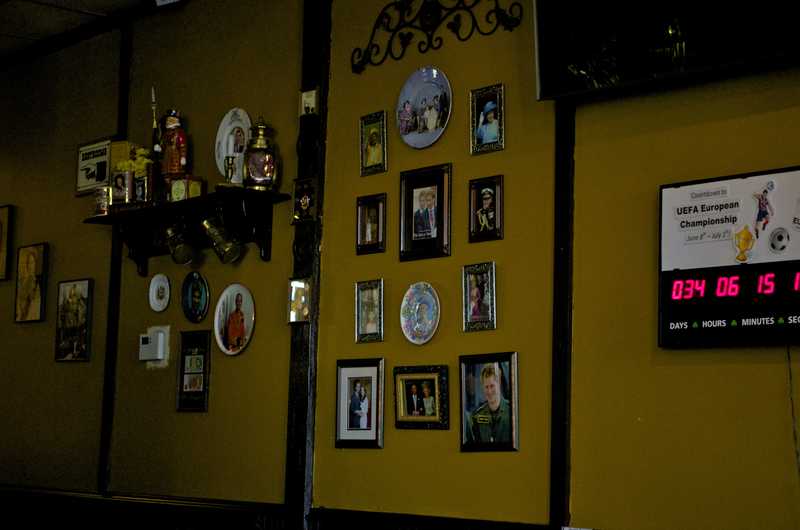 Kinetic has been open for about three and a half months and already has a strong following. We got to try all of their beers on tap as well as taste their cheesecake with a crust made of graham crackers and spent grain. Drool. 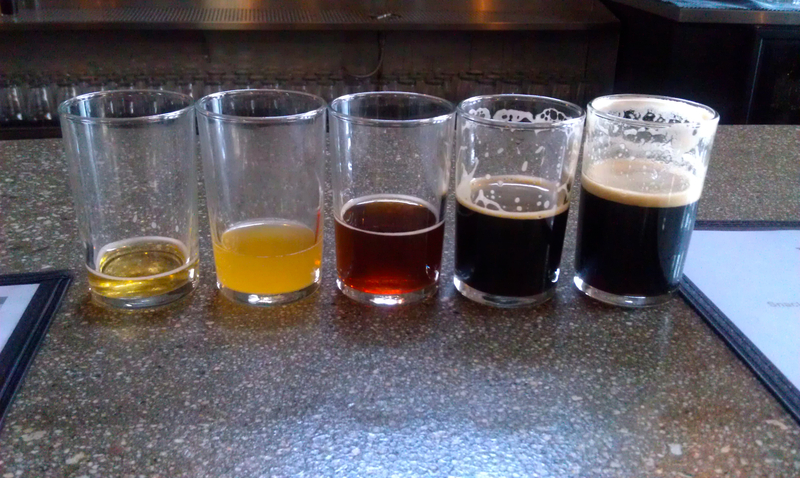 From left to right – Potential Blonde, White Thai, Rusted Gear, Fusion Porter and McLernon’s Irish Stout. My favorite was the Rusted Gear – a little more roast than your typical amber with a hint of nuttiness and a malty ending. The White Thai is a Belgian witbier spiked with lemongrass and keffir lime – nicely balanced and not overwhelmed with spices, but I definitely couldn’t have more than a taster size of this. It’s always refreshing to find a new brewery that has consistently good beer across the board. We grabbed a growler of the Rusted Gear and took off for Valencia. 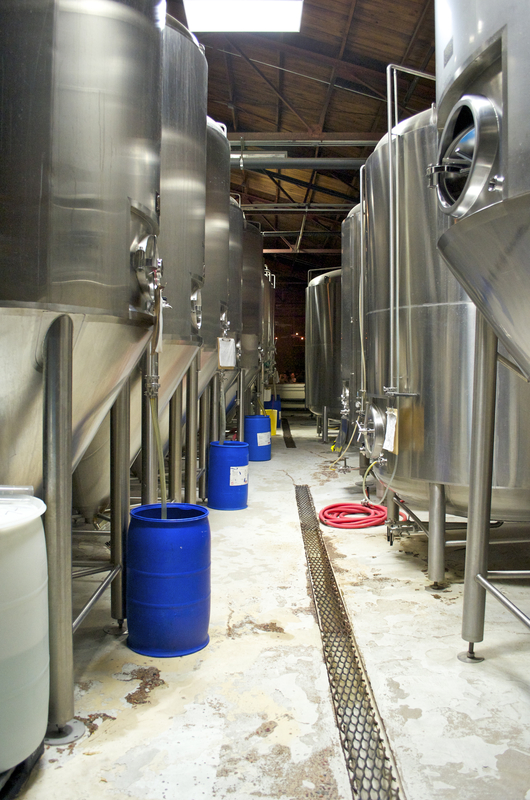 The next day was back to work – filling kegs and setting up for a microbrewfest. 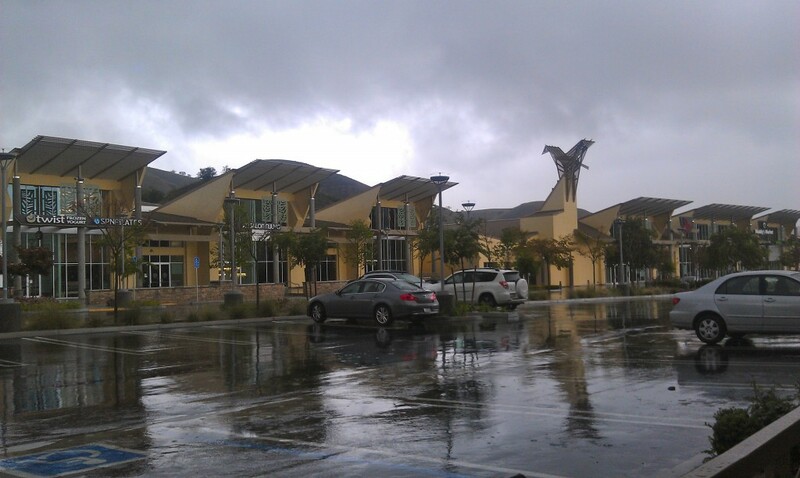 It was about 94 degrees out at the Westfield mall off of Topanga Canyon. Thank God the sponsors had provided us with tents! We found a way to keep hydrated though. Quality control/hydration: very important. 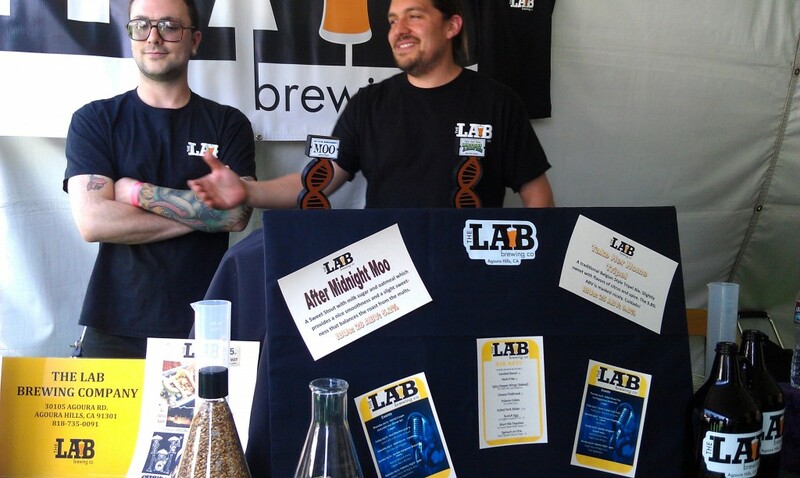 LAB Brewing was also a featured brewery! We all agreed on how important keeping hydrated was, and spent the evening swapping taster for taster. 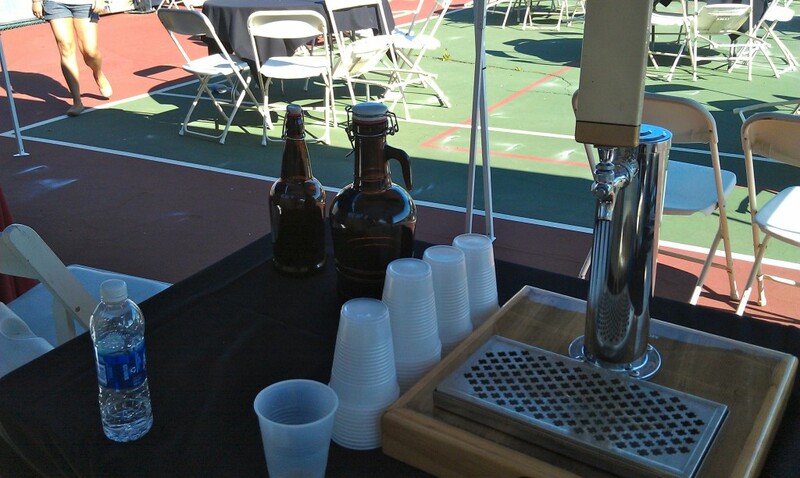 Quite a few people came by and stated how they wanted to taste our beer versus our “competitor’s” beer. We are not competitors! Microbreweries should never truly be in competition, but always supporting each other in the fight to bring down the big guys who cram their beers full of crappy adjuncts and use flashy ad campaigns to try and entice consumers into drinking their fizzy yellow water. 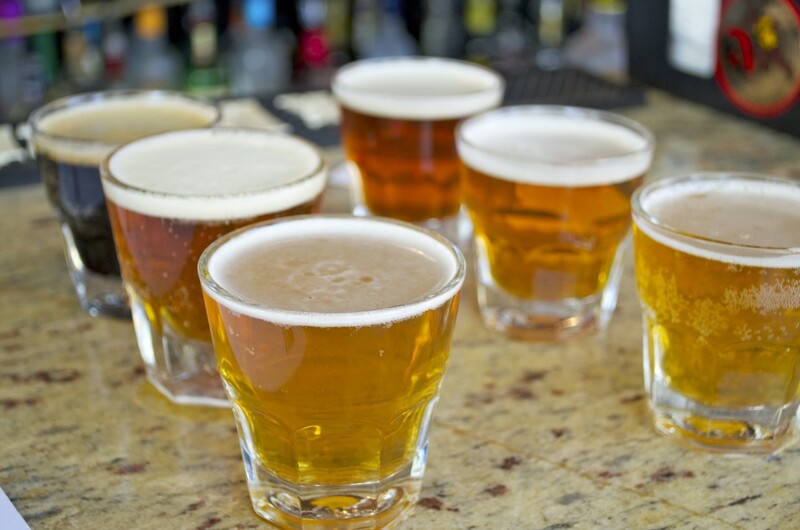 We should work together to help expand the palates of those who truly appreciate beer that is full of flavor, as well as introduce former fizzy yellow water drinkers to delicious craft brew! Rant over. Thank you for your time. 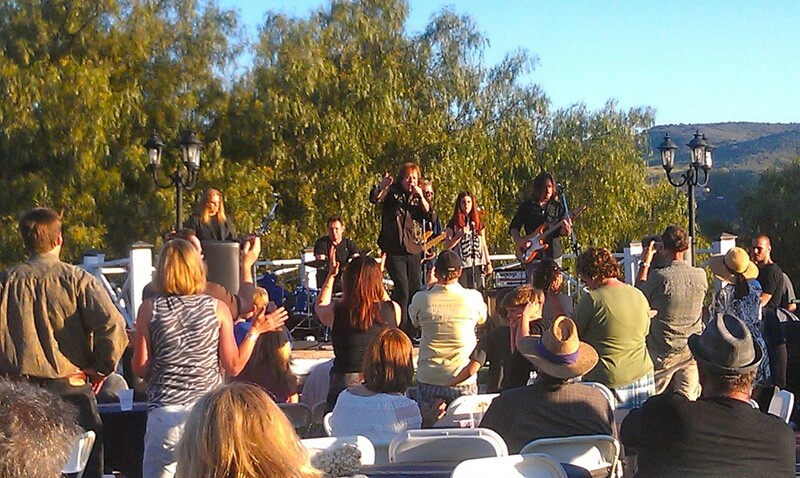 The fest was a success! 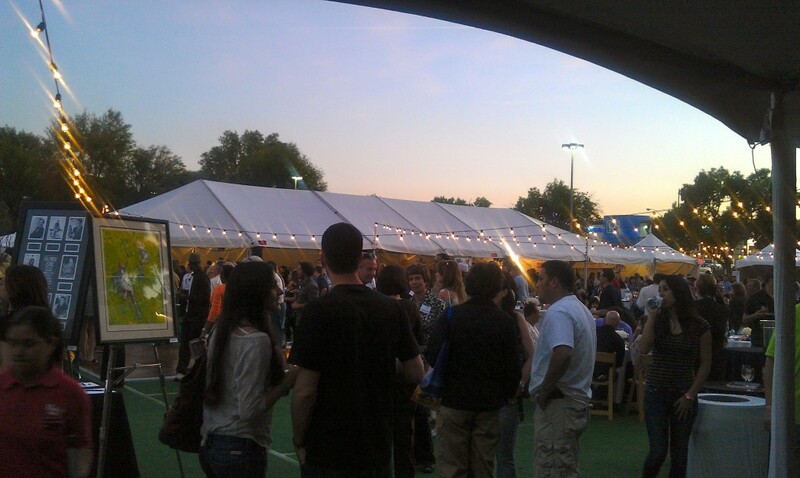 We met tons of people who loved our beer, adored our food and wanted more. 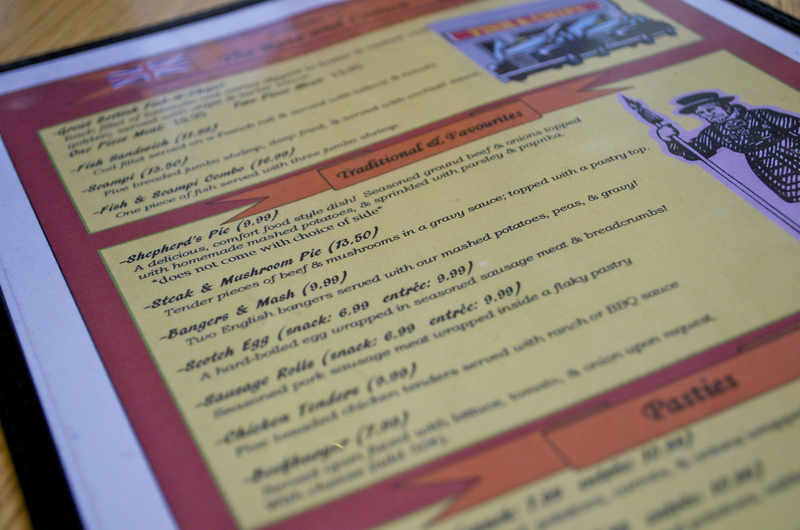 I personally left incredibly stuffed – of the 20+ restaurants that were there, I tried food from at least 15. Pain. Wonderful, delicious pain. 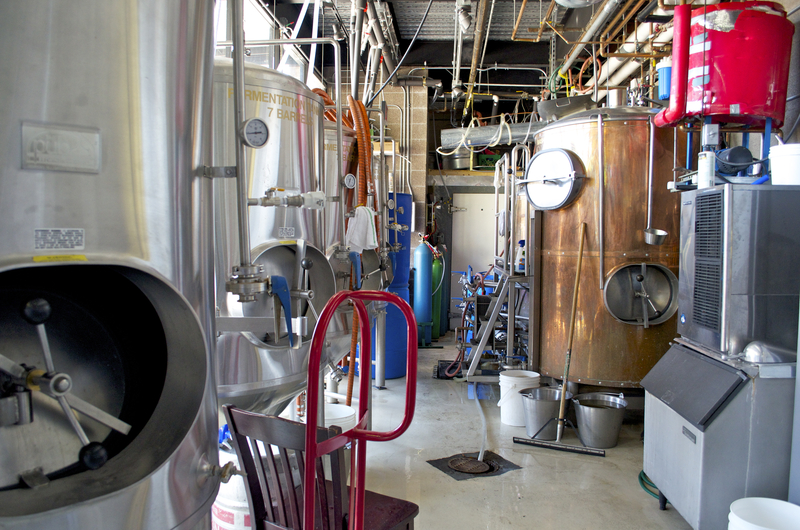 I headed to Enegren Brewing yesterday to get some more brewery fix. Three breweries in one week just wasn’t enough. I got to meet Ryan and Laura! Ryan won my growler giveaway and drove up from the Riverside area to pick up his winnings. 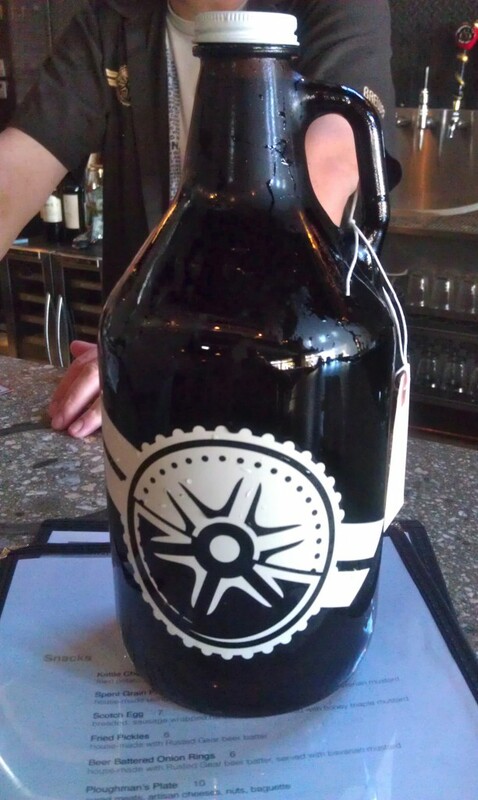 He also walked away with an Enegren growler full of Moorpark deliciousness. Ryan and Johnson are the first to pick up their growlers! 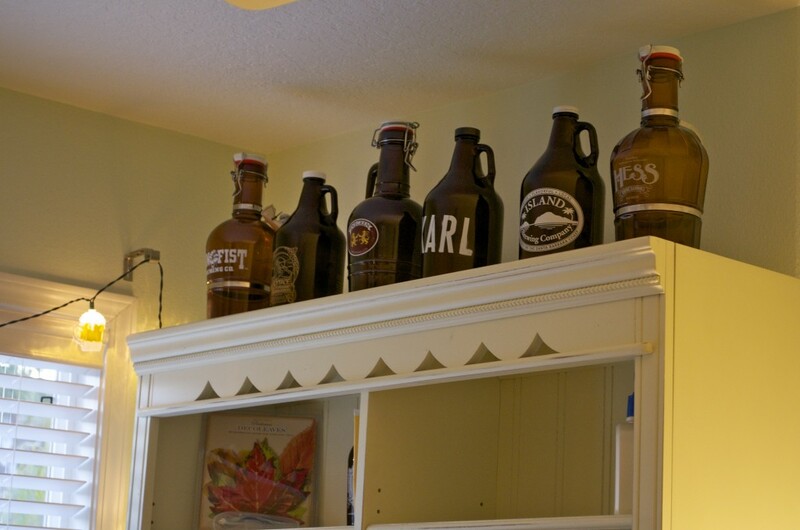 That means that Brent, Jacob, Christian K. are still lacking in the free growler department. Okey, I’m back to work! Lots of thirsty patrons to serve! Having a full time job plus working another job on the weekend makes for… no time for anything else in the world, like blogging. Or sleeping. Forgive me for my absence, but I took pictures to make up for the lack of posting. 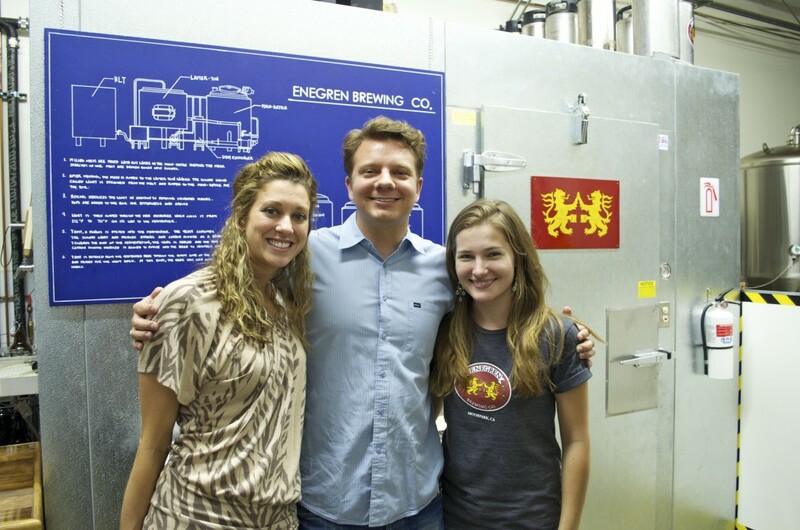 On Saturday I worked at brewery number one – Enegren Brewing. 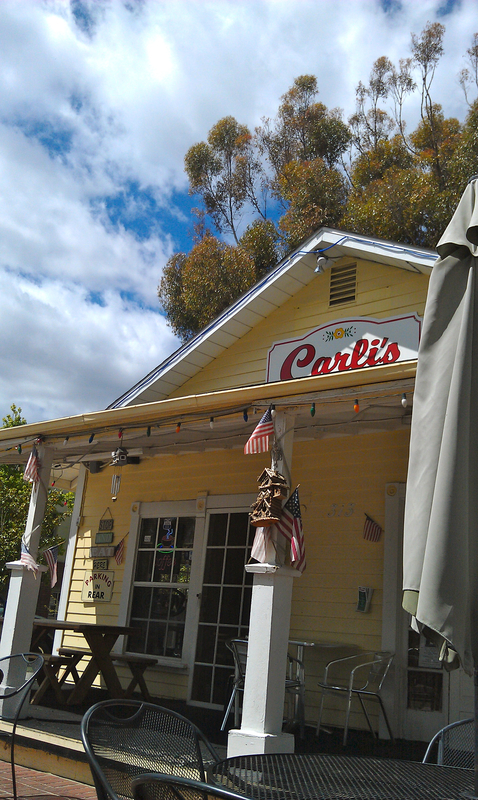 It was a beautiful day out to make up for the excessive amounts of downpour we’d had the day before, so I took the brewery bike to pick up cheesesteaks from Carli’s in Moorpark. If you’ve never had a cheesesteak before, you must go eat one right now. 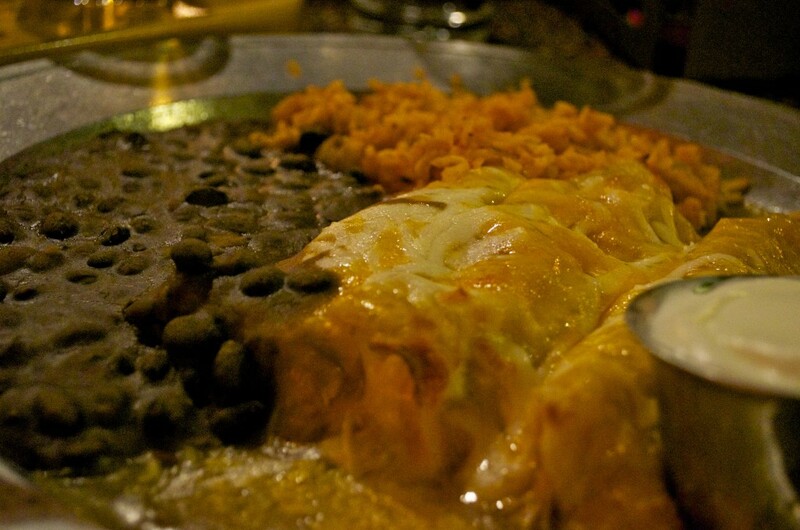 This was my first, smothered in cheese and jalapenos, and I want more. I want more now. 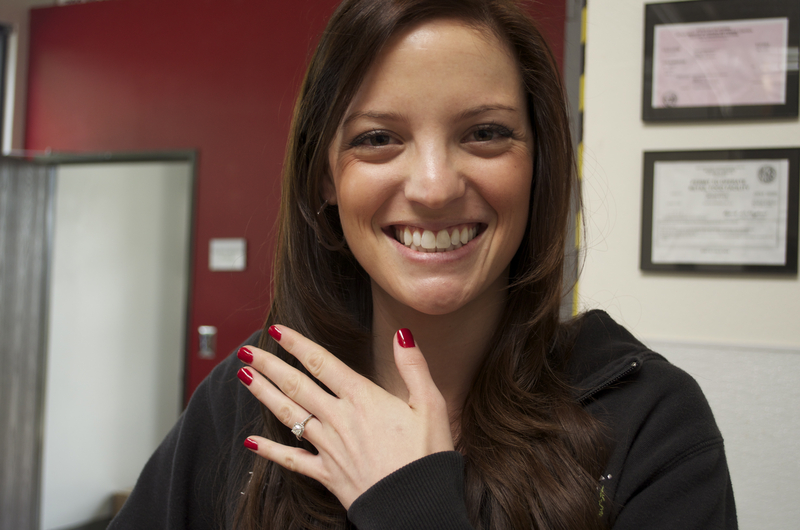 We’ll soon be having another Mrs. Enegren on our hands! Congratulations to Brie and Chris!!! 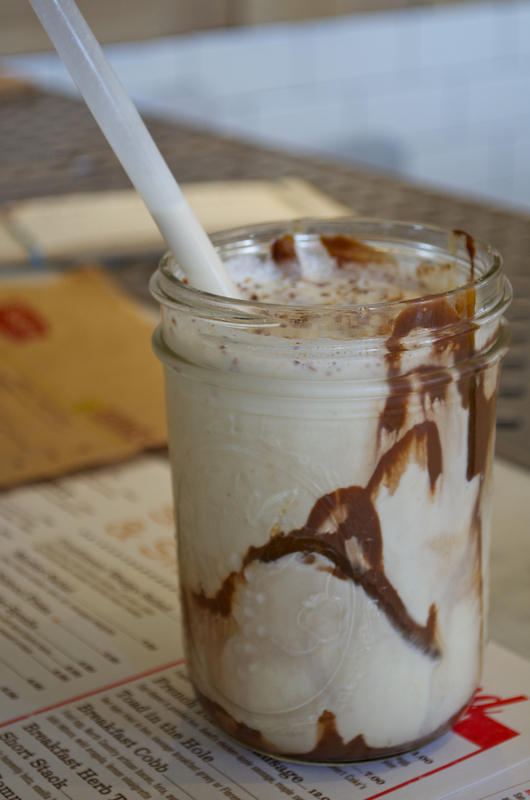 On Sunday we had to take some kegs to Short Order in Los Angeles and decided to sample from the menu – this is the Charlie Brown adult milkshake. Vanilla custard, peanot infused bourbon, peanut butter, chocolate and awesomeness in a mason jar. Unfortunately, I wasn’t the one to order this, so I only got the few sips I stole when the consumer wasn’t watching. Insert evil laugh here. 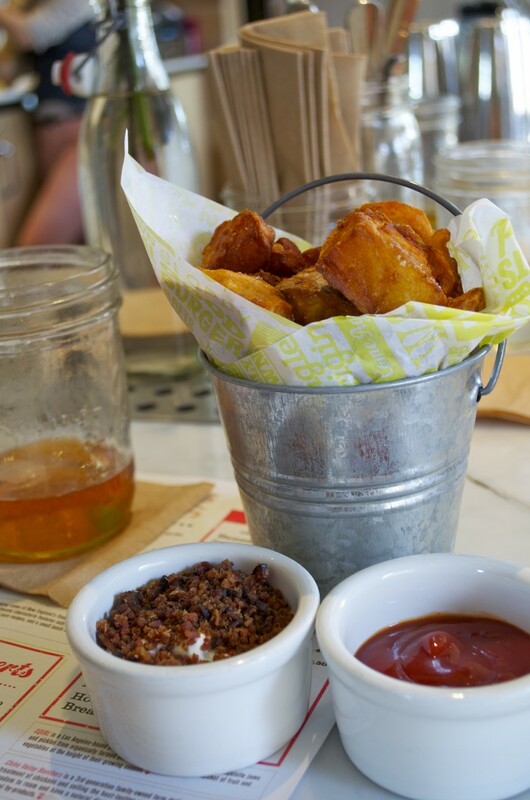 I was still pretty stuffed from a hearty breakfast at a greasy diner, so I opted for the potato wedges with heavenly sour cream and bacon dipping sauce. Hands down, these are the best fries in the entire universe, especially when combined with the sour cream and bacon. 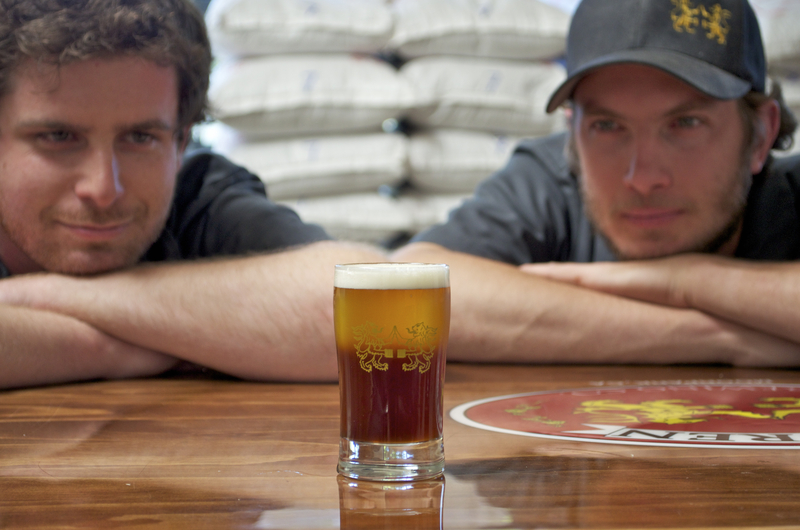 Back at the brewery, I made a beautiful tan and tanner – Valkyrie California Alt topped with Golden Spur Saison. 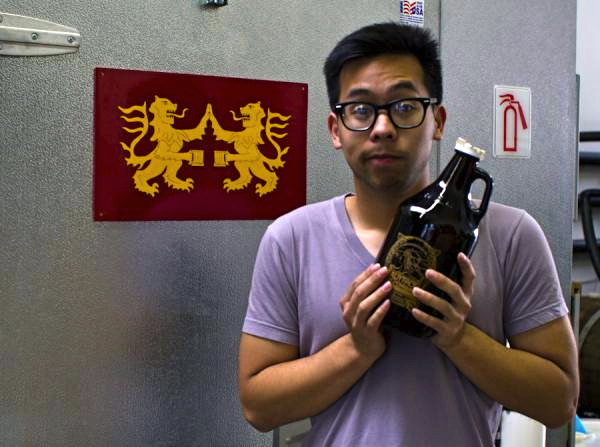 I think I’ve found my calling – eating cheesesteaks and making pretty beer combos. I’m set for life. The next day was spent celebrating Commander Matt’s birthday! He works at and owns a brewery which he goes to every single day, so obviously more brewery was necessary. I was more than happy to oblige and force my company upon him. 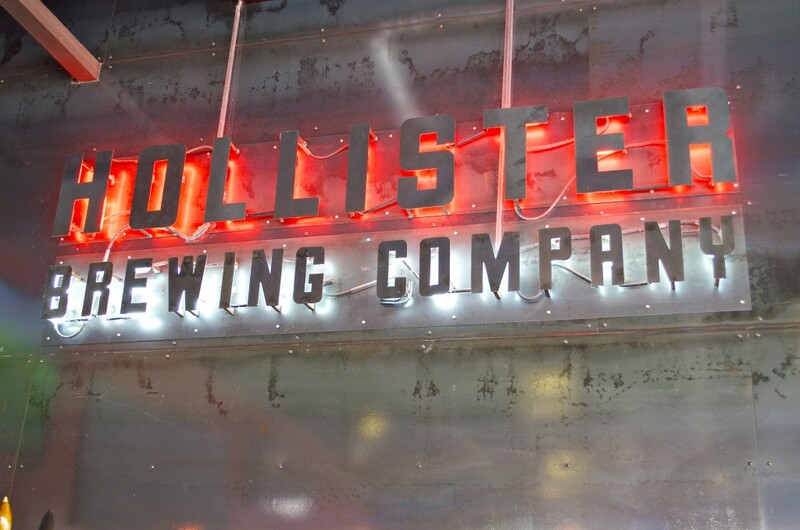 Hollister Brewing Company was the first stop (after mass amounts of fried fish at Andria’s Seafood in Ventura, of course). We sampled almost all of their beers and came away with a growler of their Hip Hop Double IPA. My personal favorites were the Riverdance Irish Red – malty with a slightly sweet finish, gentle carbonation and low ABV, and The Pope IPA – not quite sure what it was about this that I fell for, but something about the malty aroma and surprising bitterness at the end made me happy. Very happy. We also swung by Island Brewing on the way down the coast and the owner, Paul, was kind enough to give Matt, Grayson and me an in depth tour of the place. 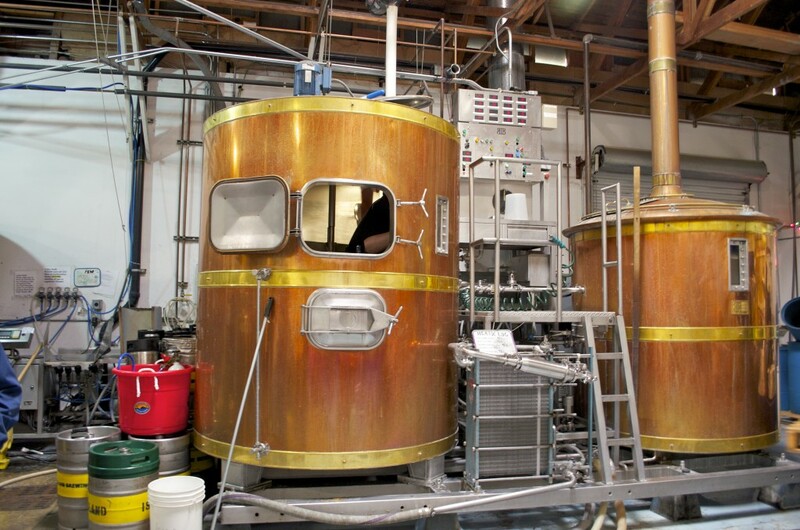 I’m incredibly intrigued by their bottling line. 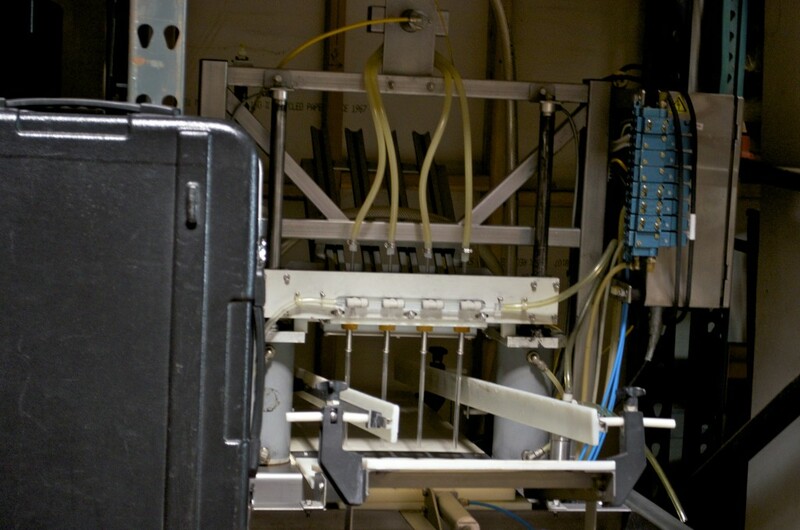 Only four fillers, but they manage to bottle 720 bottles every time they bottle. Bottle bottle bottle. 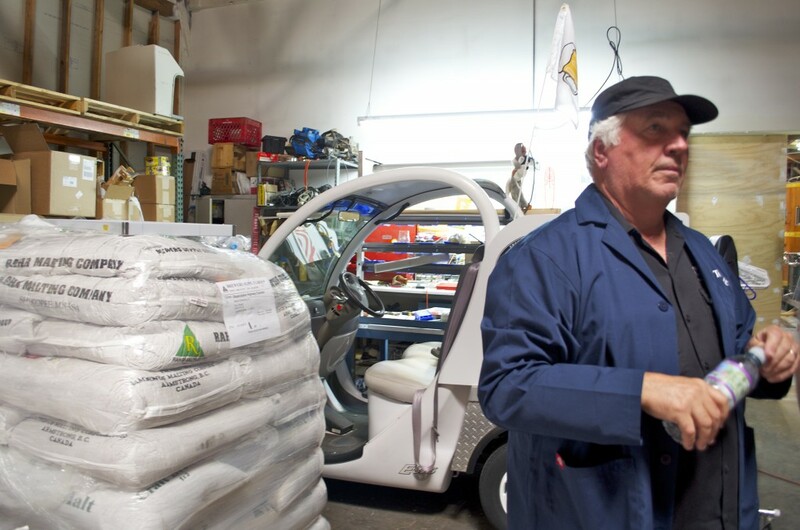 The owner, Paul, suited up in his official “Tour Guide” lab coat. It’s embroidered with the words “Tour Guide”, so it’s official. That and he owns the place. That also makes it official. I swung by the Ladies at Ladyface meeting (Number 11 already! We’ve almost hit our one year anniversary!) and sampled from the dry hop experiment – Ladyface Blonde with Delta pellet hops thrown on top, put in a French press and, well, pressed. It was “hop night” so there was a handful of single hop beers, homebrewed IPAs and other IPAs that could wreck your palate. So they say. I’ve had more daunting, but this is a delicious beer! Now I’m going to be awesome and hit the hay. Three nights of little to no sleep, brewery, brewery tour, brewery work, plus a ten hour brew day today = complete and utter happy exhaustion. Today we brewed Golden Eagle blonde ale. I was up around 5:45am, pumped myself full of caffeine and headed out to the brewery. It was a relatively easy day. 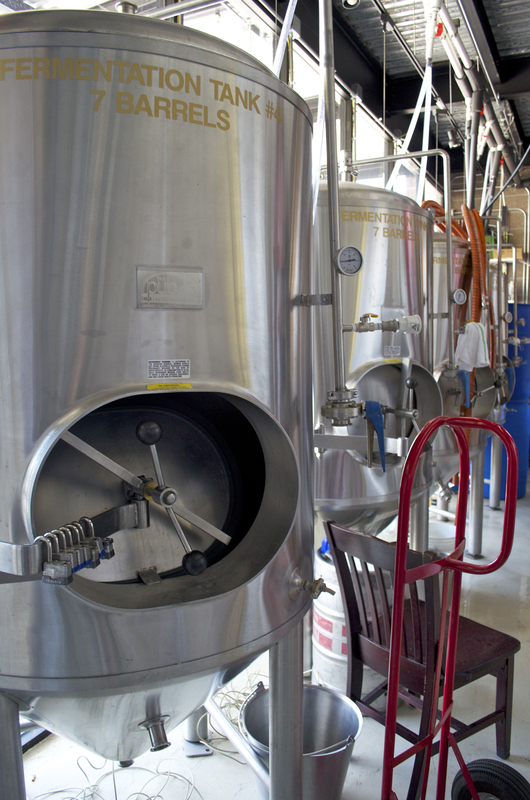 We brewed, we cleaned, we kegged, we tasted. 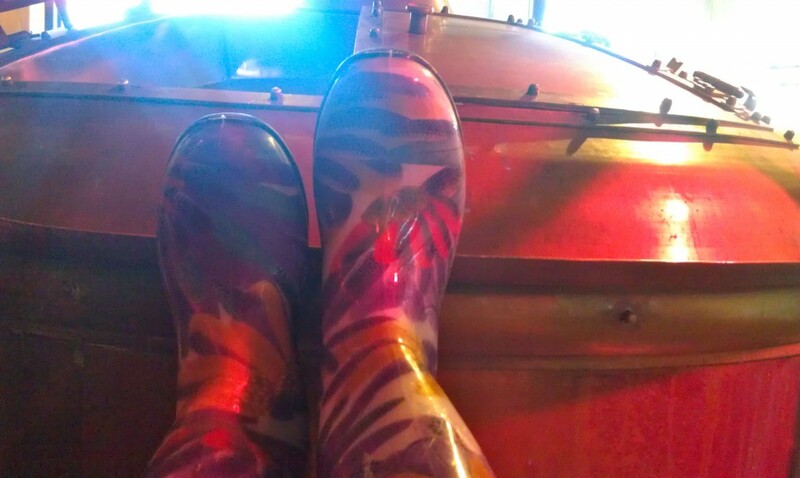 Even with the ease of the day, I’m ready to collapse after hefting grain bags and scrubbing out 90 degree tanks. 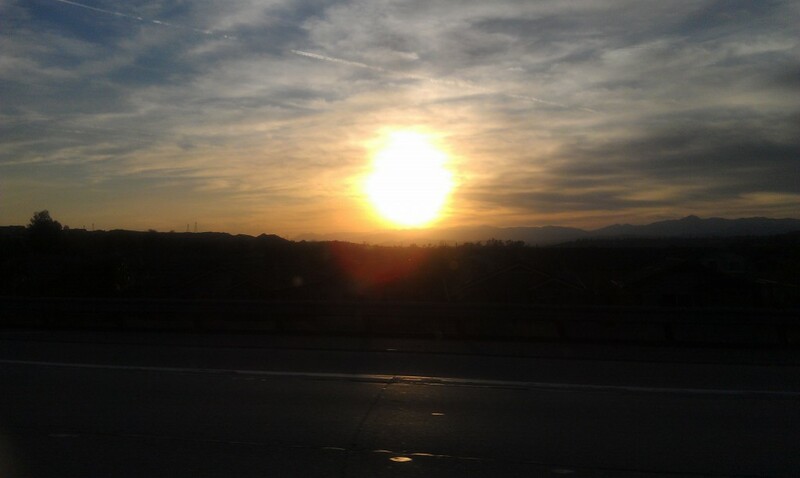 I headed home after to enjoy my new view. BEAUTIFUL day out! I sincerely mean that. 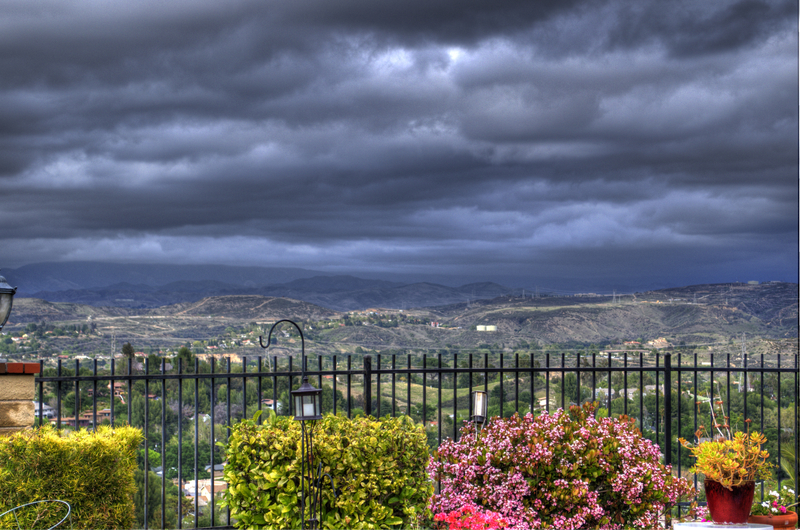 I adore clouds and rain and chill! 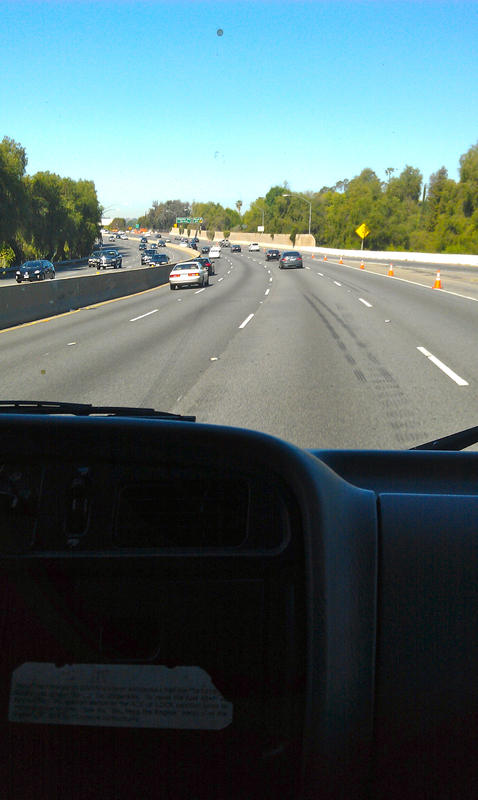 And now I’m heading BACK to Wolf Creek to treat my new roommates to dinner and give a mini-brewery tour! 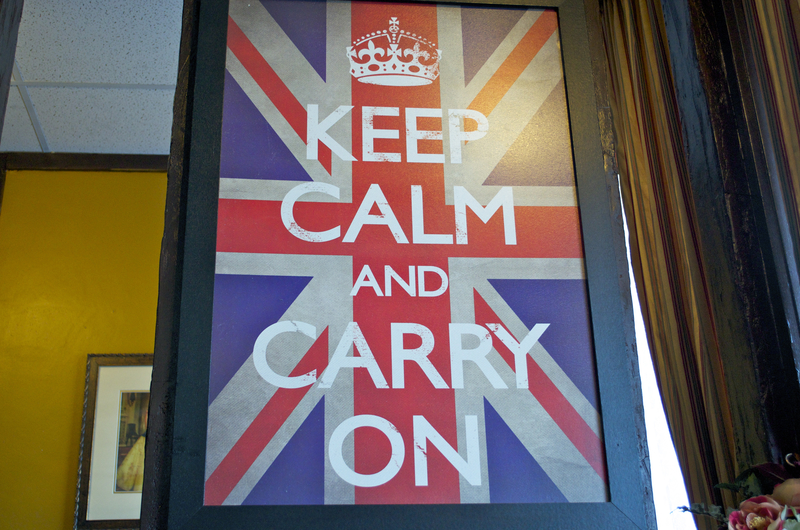 Tomorrey promises a visit to a local British pub for some UK brews and comfort food! Happy Thursday/brew day to you all! I really need to find a place at work to stash my camera. We spent today cleaning out kegs. Cleaning out kegs involves a lot of water. Camera + water does NOT equal happiness; of this I am certain. 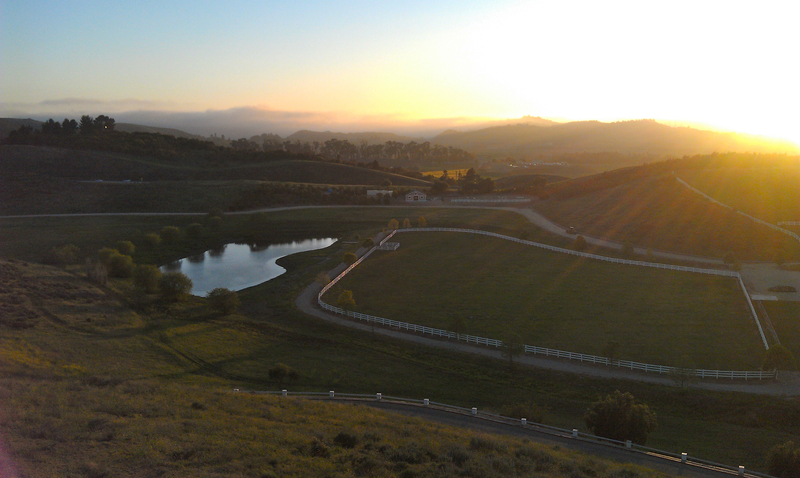 Hence all the phone camera shots. We had some time while the boil kettle heated up this morning, so I relaxed with my Tasting Beer book and studied a bit. After lots of hot water, splashing hoses, squeegeeing and delicious citrus chipotle chicken, I headed home and took my newly tuned up bike for a spin around the national park. This may need to be a daily occurrence. 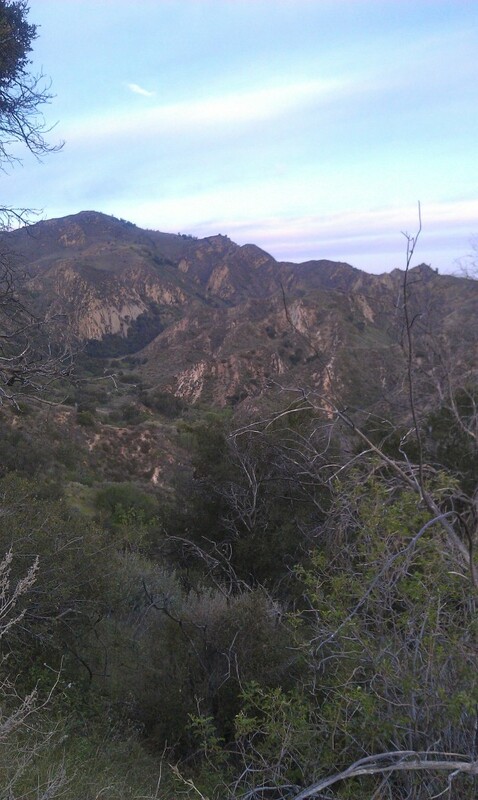 Hiking is out for a little while since that keg dropped on my foot, effectively taking a piece out of my big toe, but biking doesn’t hurt at all! Well, except for my screaming quads as I trek back up the hill on the way home. 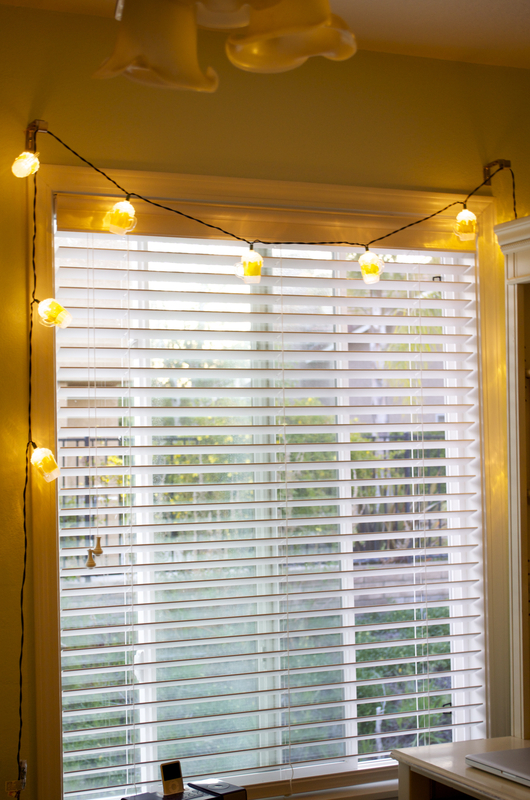 I also hung up these beautiful lights that my mumsie purchased for me a few months ago. Let’s take a closer look, shall we? These may be the most beautiful lights I’ve ever seen. 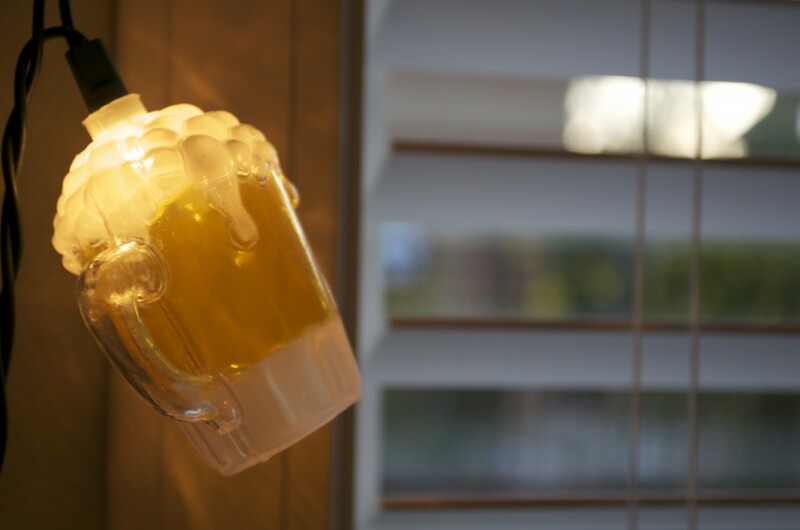 Imagine sitting in a cozy room, sipping a nut brown ale, gazing outside as the jasmine trees bloom in the sunset, the toasty aroma of the ale and the sweet floral scent wafting through the air. Welcome to my life. If only I had that nut brown ale right now. I made myself thirsty. I’m officially done with my job working for the artist! After the lovely evening at Four Peaks Brewing, we had a windy drive home. 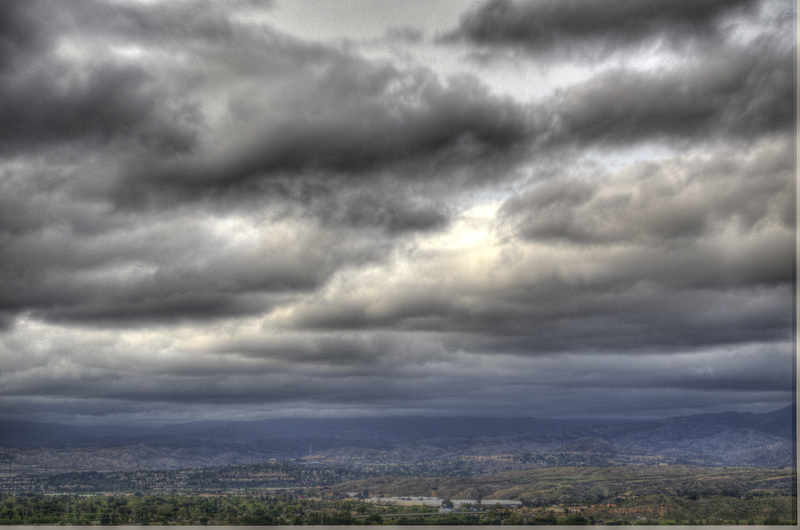 It was an incredibly turbulent drive. 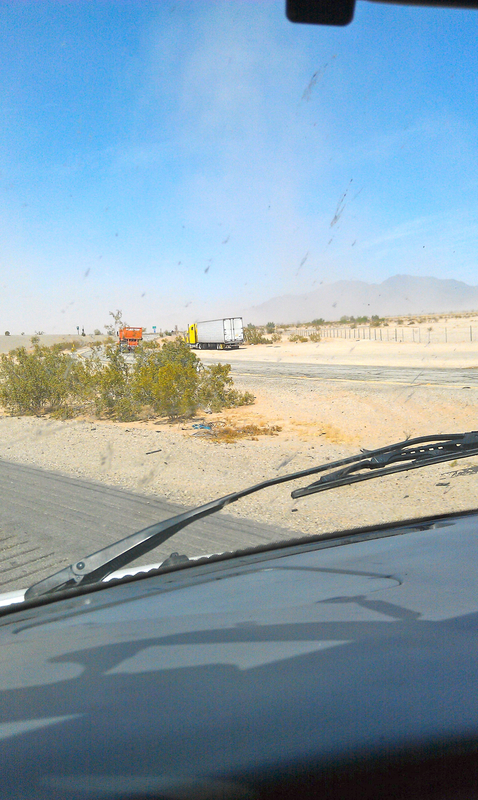 It’s always fun driving through the desert when the road suddenly disappears and all you see is sand blowing in front of you. 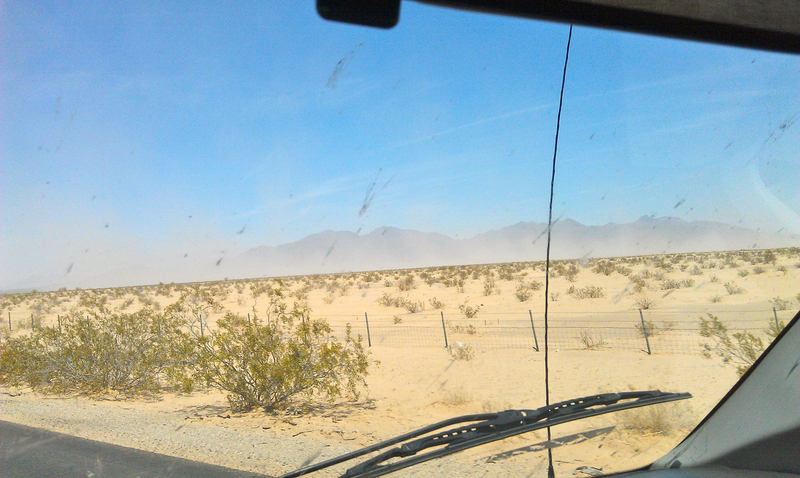 Not knowing if you’re driving on the actual road or barreling through the desert is such a rush! After we got back, I needed to crack open a beer I’d picked up while in Tempe. 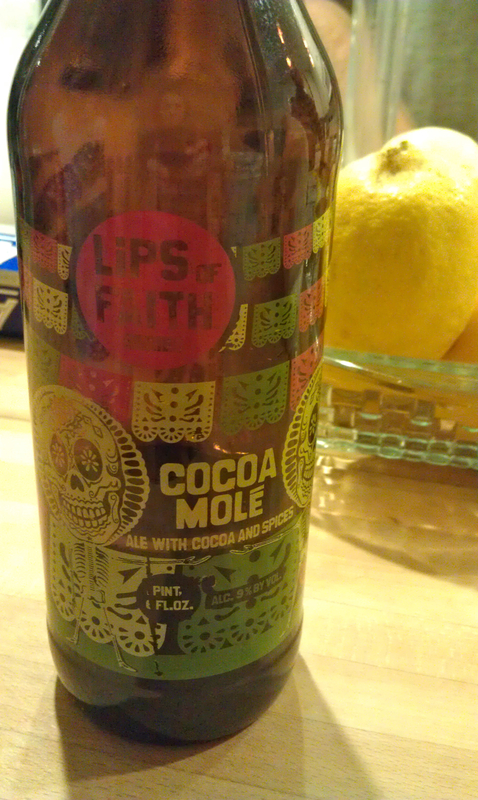 Lips of Faith Cocoa Mole – I wouldn’t say I “liked” this one, but it was definitely unique! It had a rich cinnamon and chocolate flavor with a massive punch of spice on the end, and a lasting smokiness from the chipotle peppers. I won’t be getting it again, but I’m glad I got to try it. 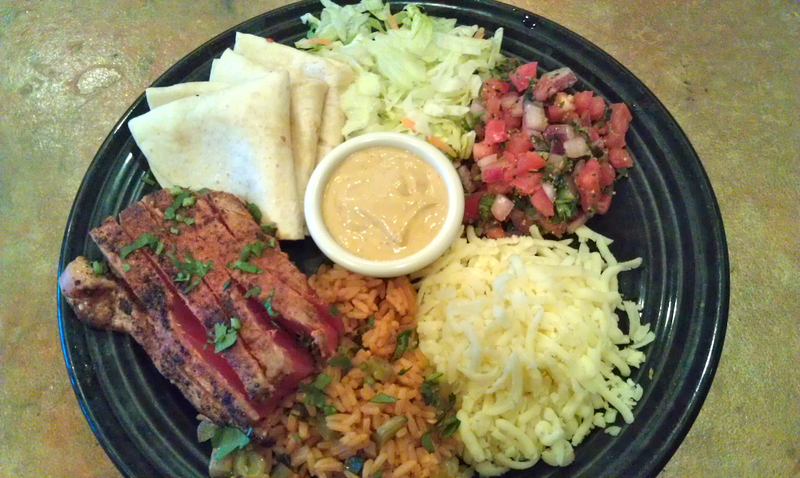 … and the seared ahi build-your-own tacos, among many other delicious options throughout the week. 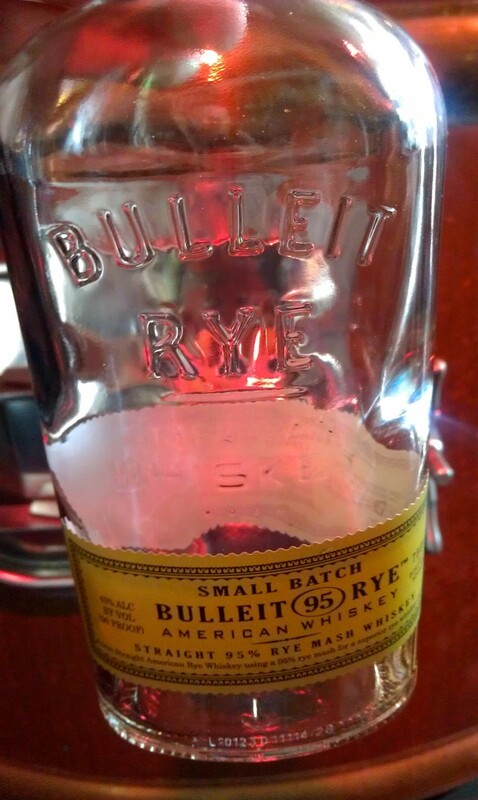 Rye whiskey in beer – this is gonna be GOOD! 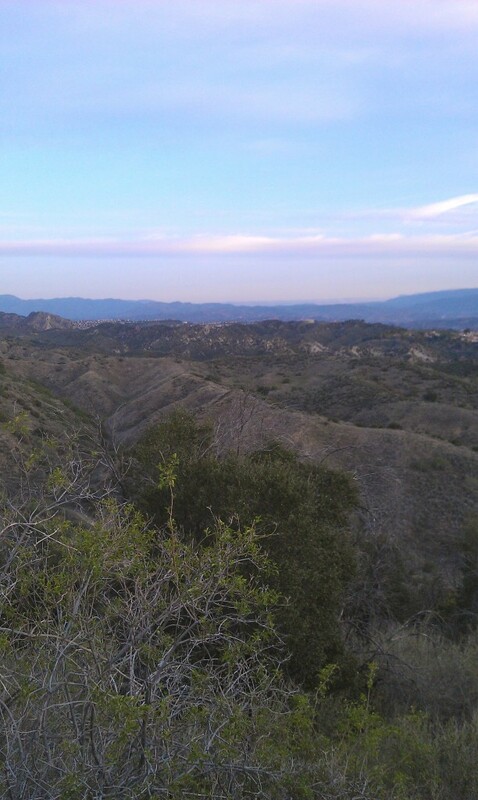 I also made it a point to get out on the trails in my new area. 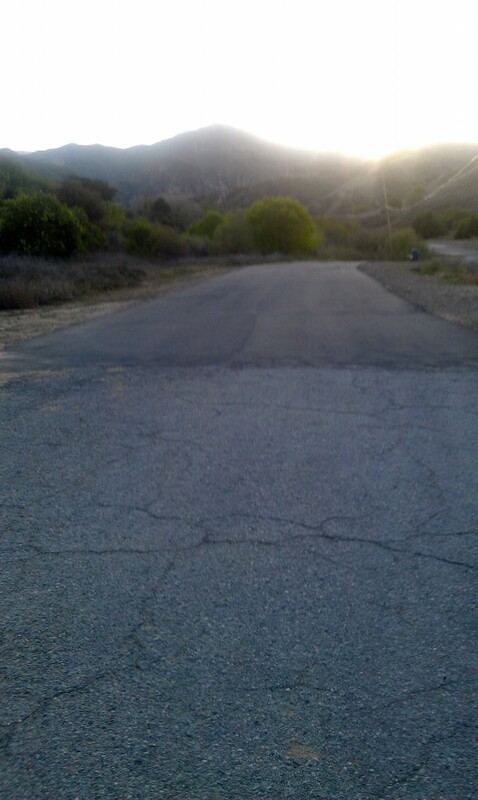 Getting up at 6am isn’t ideal for me for hiking, but since I got one of them “real” jobs, it’s the only chance I’ve got. 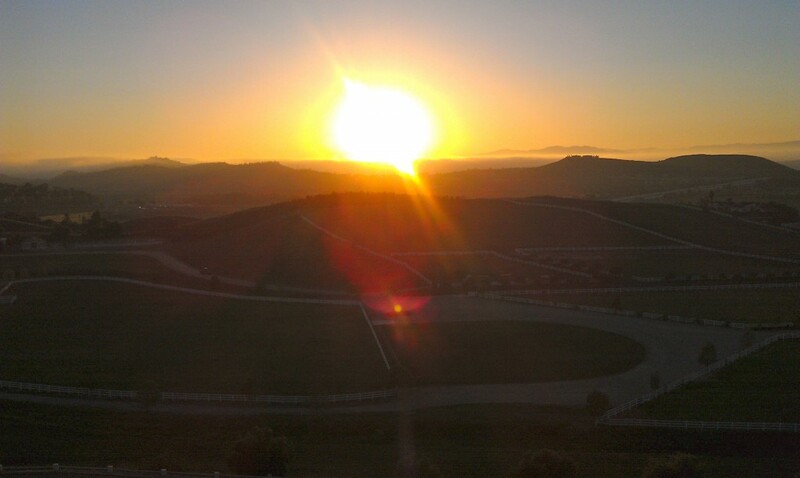 And there’s nothing wrong with greeting the sunrise from the top of a mountain! I’m off to work at Enegren Brewing today, loaded up with some face cookies! I hope you all have an amazing weekend! 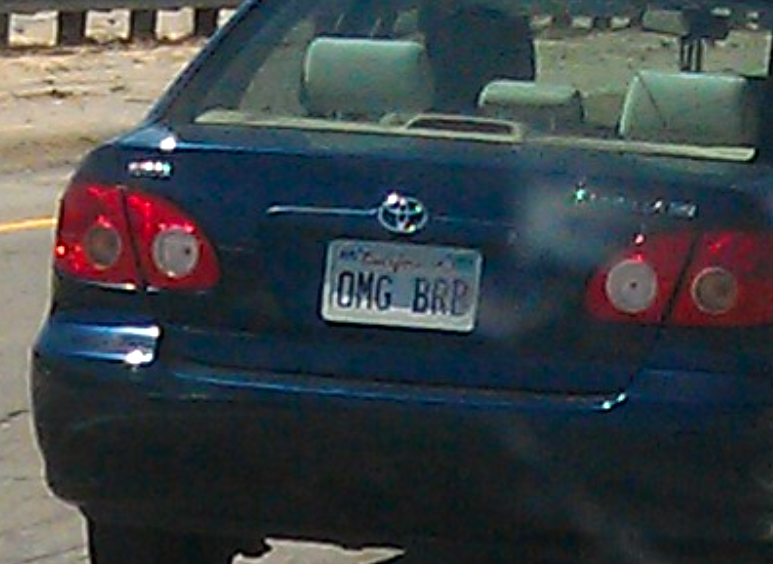 Another gem from the drive back home. 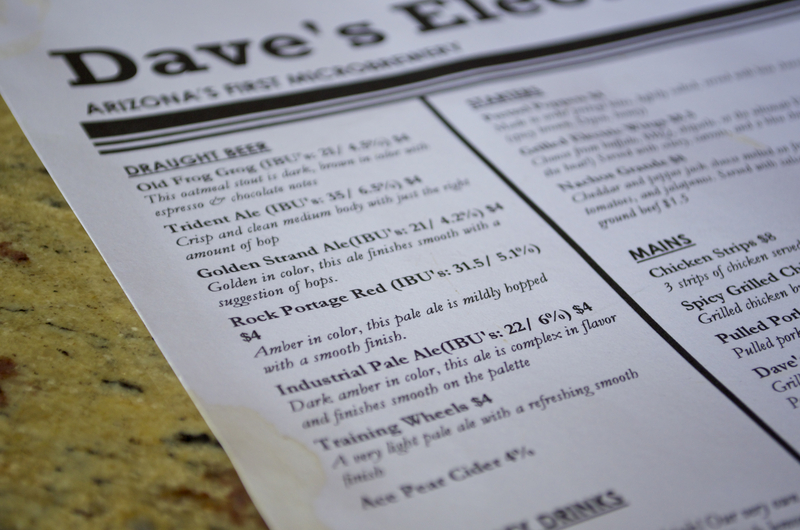 After my midday visit to Dave’s Electric Brewpub, I was all warmed up for Four Peaks Brewery. You can’t make reservations, it was a Saturday night, we were in a college town and we were prepared to wait. And wait, we did! We waited for about an hour before we were seated outside, and it was worth it. 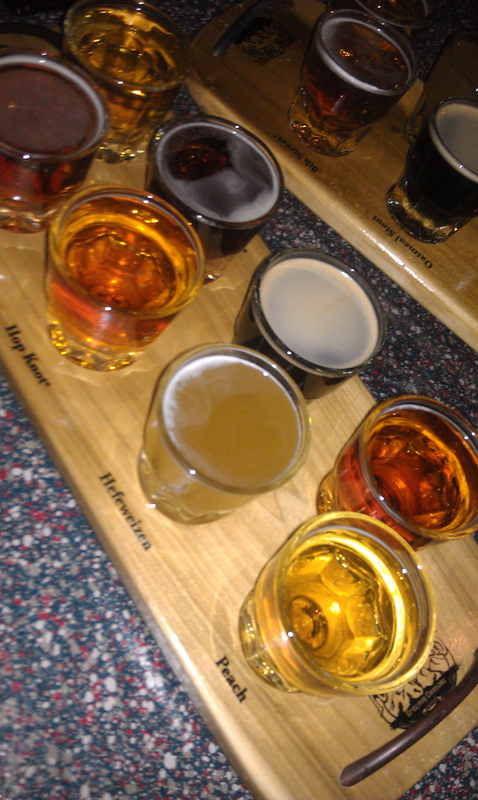 First and most importantly, we ordered two taster flights. 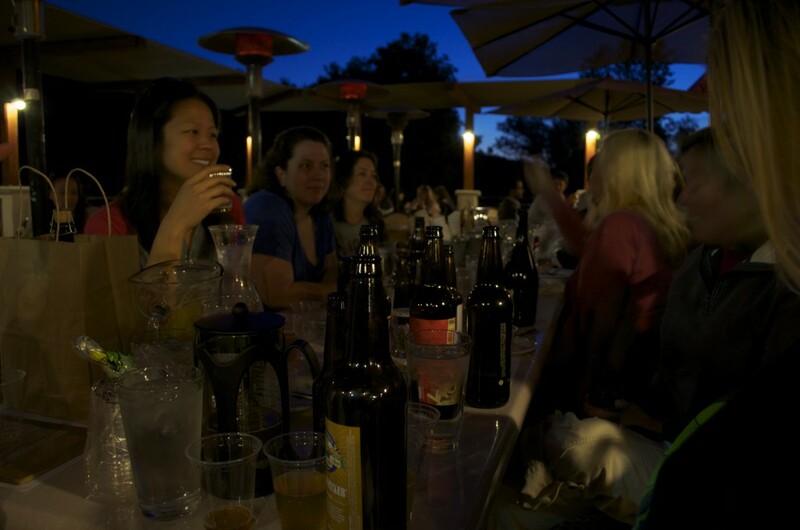 I was with Katrina – a wine drinker who was willing to learn beer. 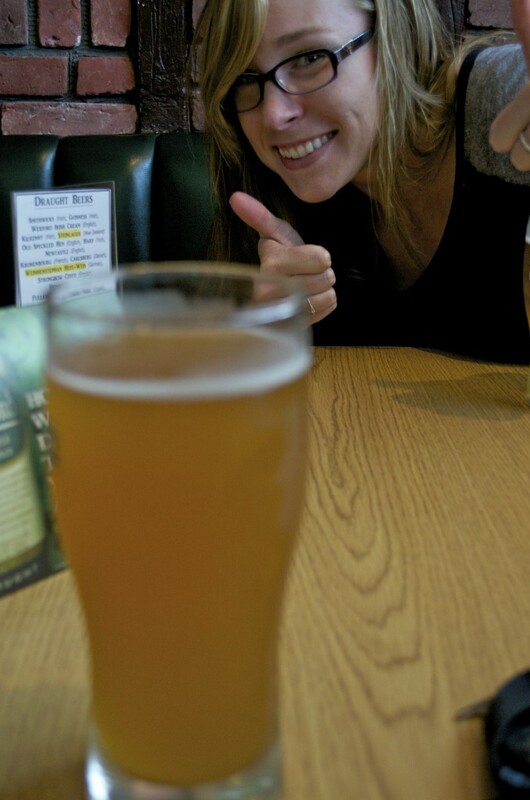 I showed her how to swirl, sniff and sip, and was more than thrilled to see Katrina’s eyes light up as she realized that all these beers had different flavors, aromas and mouthfeel. It makes me so happy to watch an avid wine drinker reach for a super hoppy IPA and cradle it delicately in her hands, eyes closed, enjoying the floral aroma before diving in. Now to my flight! 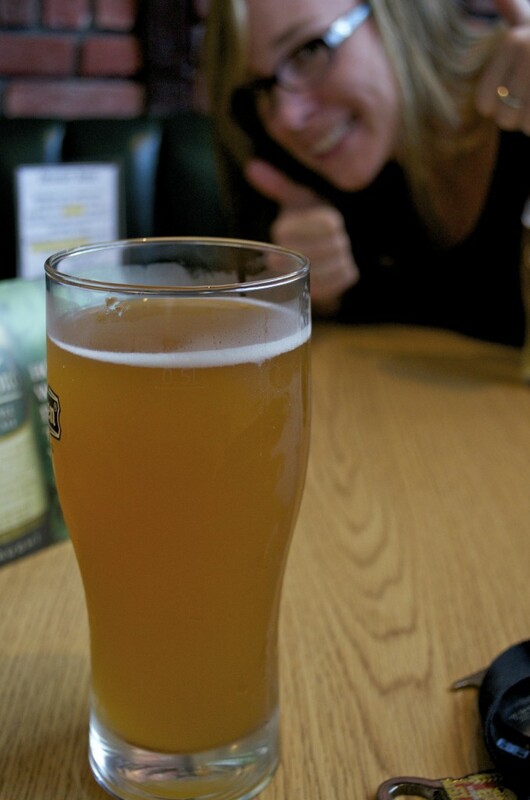 The Hefeweizen was delicious – full of banana and cloves, a musty/earthy flavor that I absolutely adore and a clean finish. My ultimate favorite was the Hop Knot IPA – intense grapefruit and a strong pine aroma, but rounded out with a good dose of caramel and hints of toffee. As always, I also adored the Kilt Lifter – a sweet Scottish style ale with a sweet, bready aroma followed by a similar flavor and a thick, rich finish. This one seems to be on tap everywhere I go in Arizona! The food here was good, but not my purpose for going. 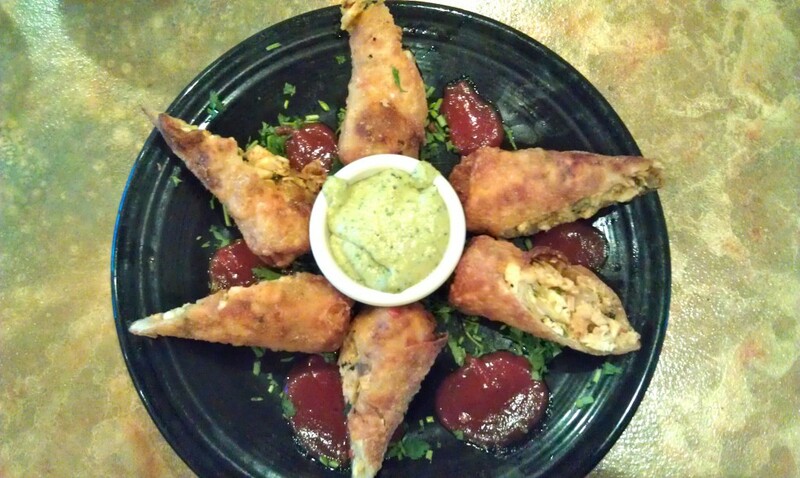 The waitress recommended the chicken enchiladas. I received. I consumed. I reached for more beer tasters. 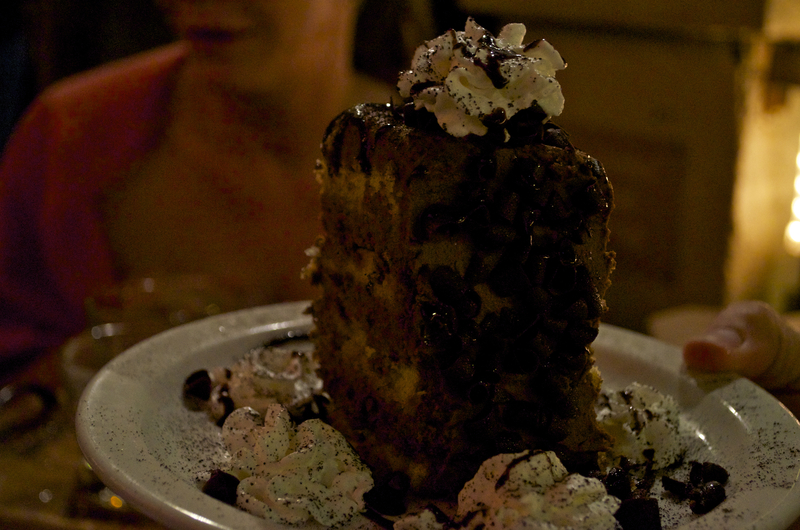 We did have to order the “stoutamisu” – tiramisu (duh) made with the oatmeal stout (duh again). Not quite a tiramisu, but delicious nonetheless. 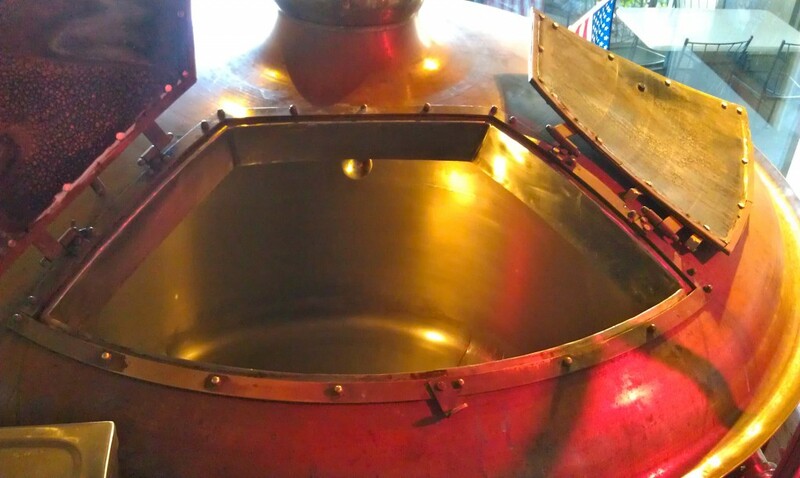 Now on to my favorite part – the brewery! 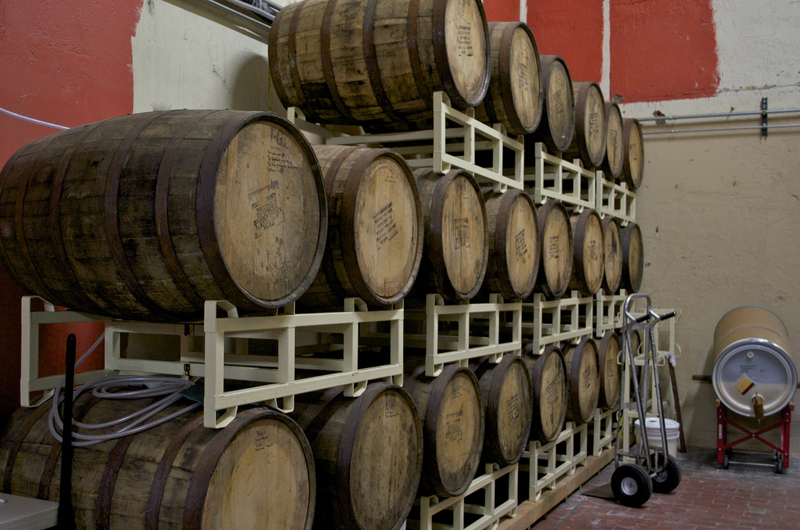 I walked inside, camera in hand, and asked a security guy and waitress how many barrels the system was. Neither had any idea what I was talking about and pointed me in the direction of an awesome, well-educated-on-beer manager on duty, Trevor, who kindly showed me around the brewery even though the restaurant was packed with people. 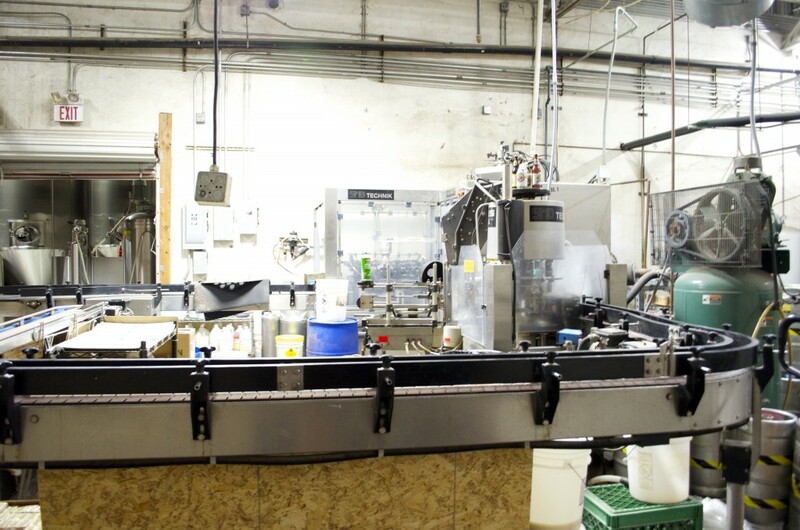 This is their bottling line, received from an old German brewery years ago. I haven’t come across any of their bottled beers in stores, however. I’ve only seen them in cans. 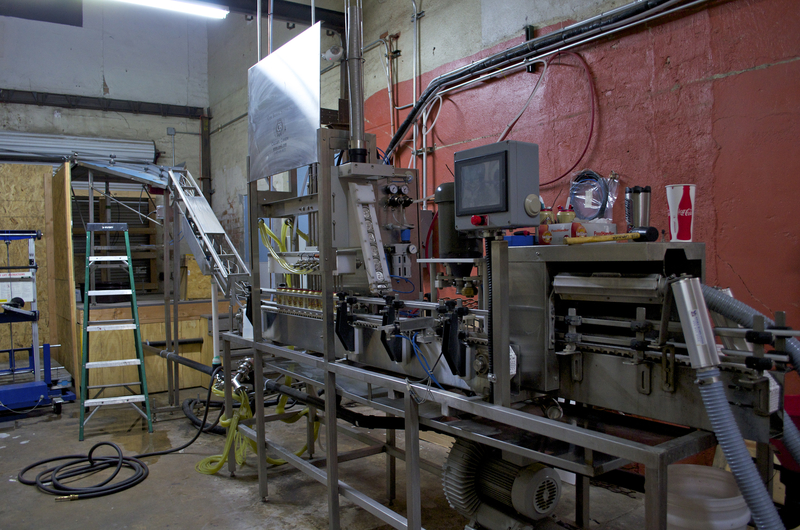 Delicious canning line! 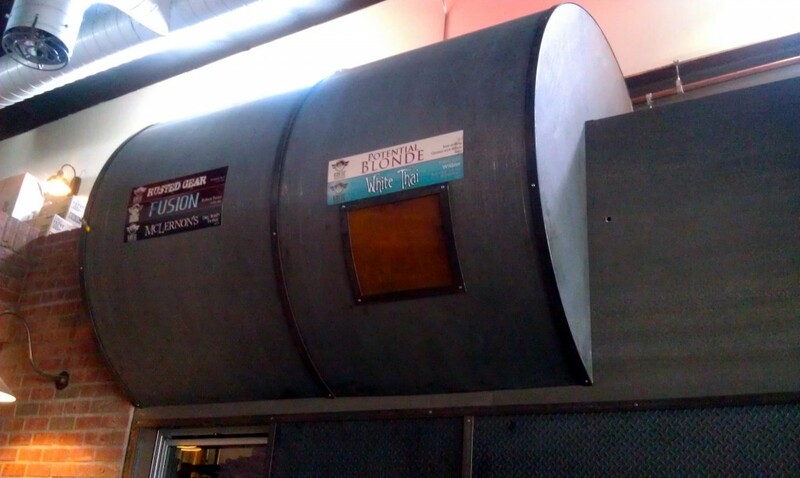 If I’d had more time, I could’ve spent an hour staring at this machine. 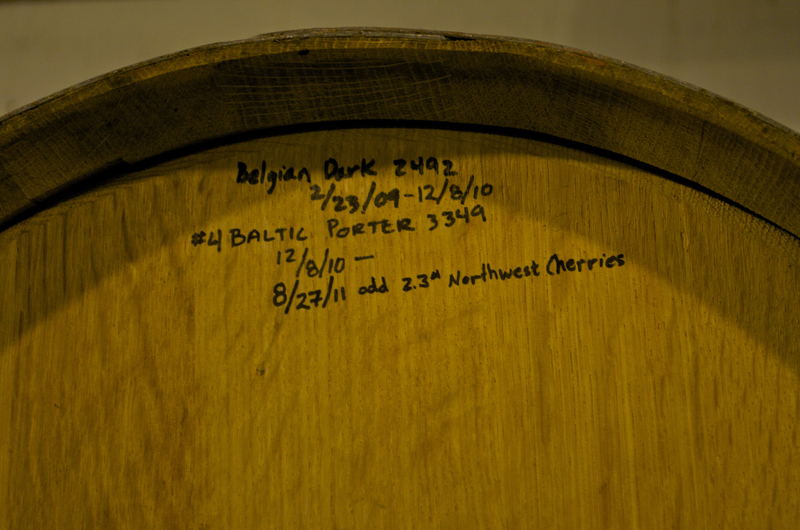 They’ve been barrel aging for years now. Unfortunately, there were no barrel aged beers in the taster flight. I guess I’ll just have to return to try one of these another time! 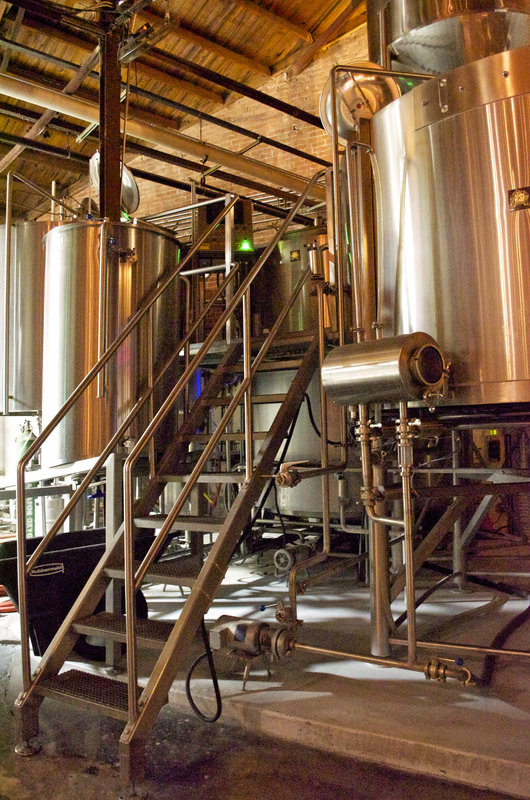 Serving tanks are kept in the walk-in cooler so the bartenders don’t have to run back every ten minutes to change a keg. 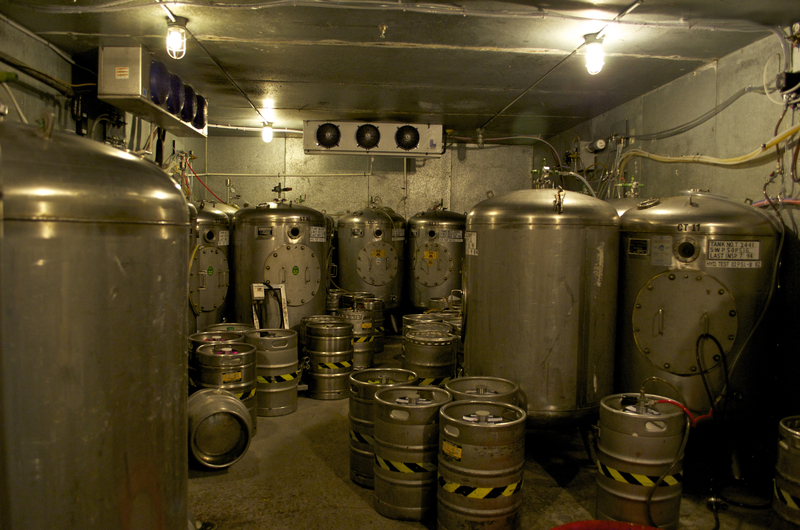 They go through a LOT of beer here! 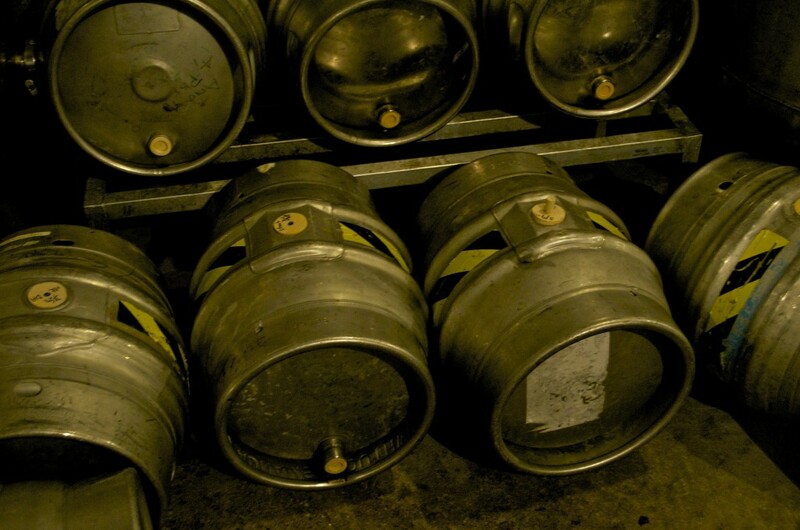 They also serve real cask ale! 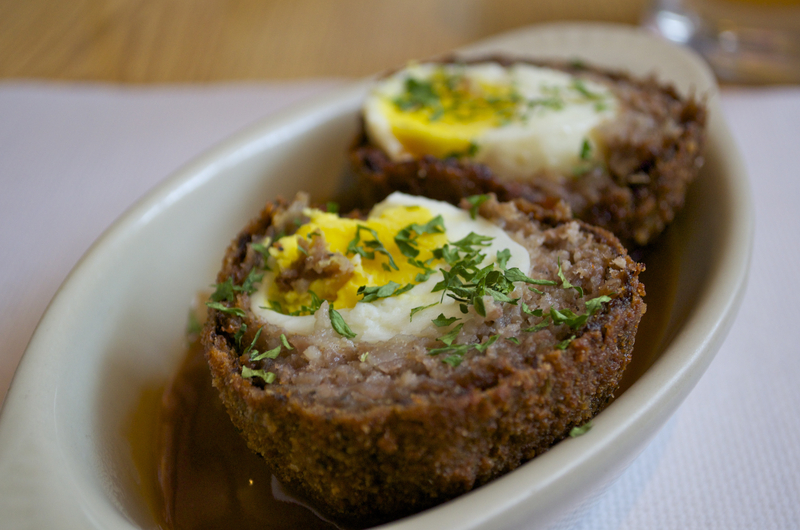 These are tapped only on Wednesdays, and are usually gone within a few hours. 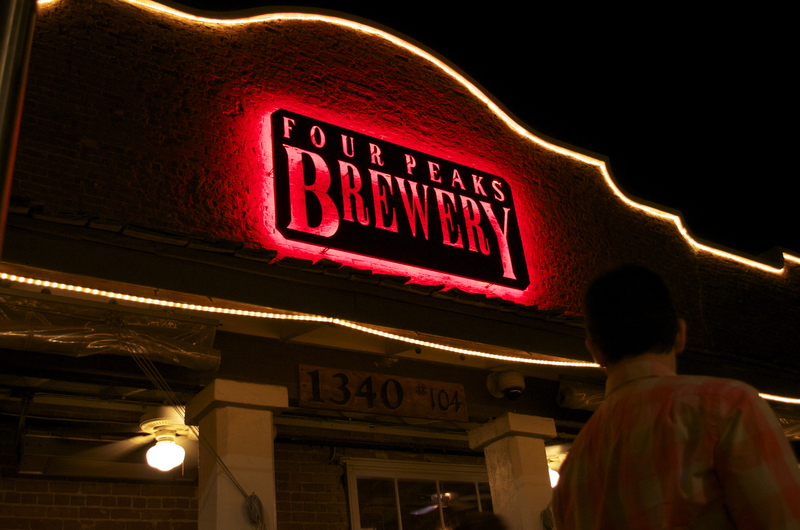 Four Peaks currently has a 40bbl brew system, but are expanding to a new location (56,000 square feet) where they’ll have a 60bbl system and 240bbl fermentors! Four brews a day to fill those bad boys! 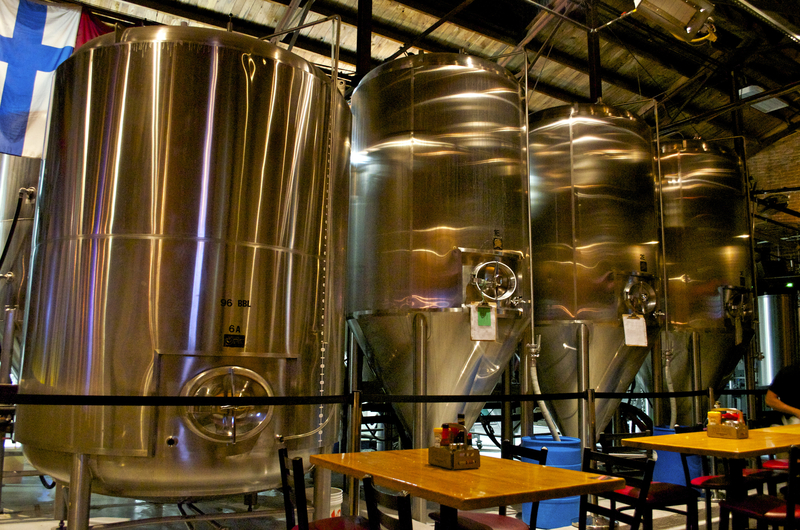 In case you weren’t sure, that gigantic tank on the left is a 240bbl bright tank. GIGANTIC. BEAUTIFUL. TANK. 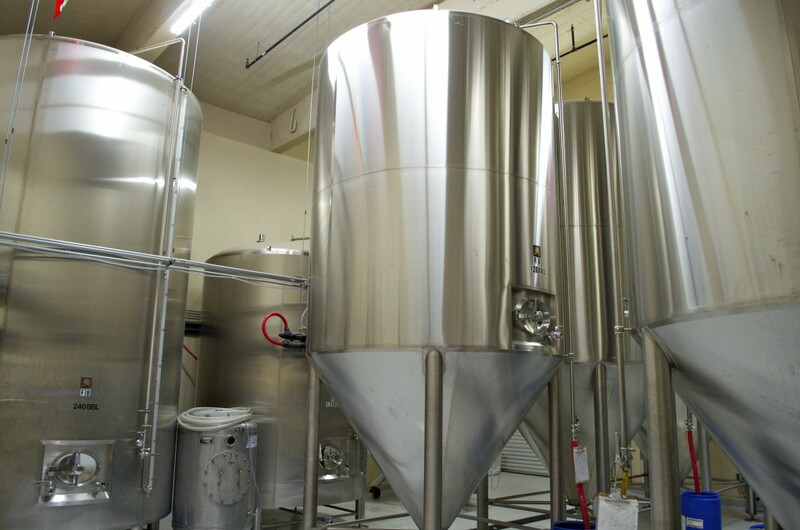 Currently the brewery is stuffed with dozens of 40bbl fermentors that you can gaze longingly at as you enjoy your pint, eyes glazed over with desire. No? Just me? 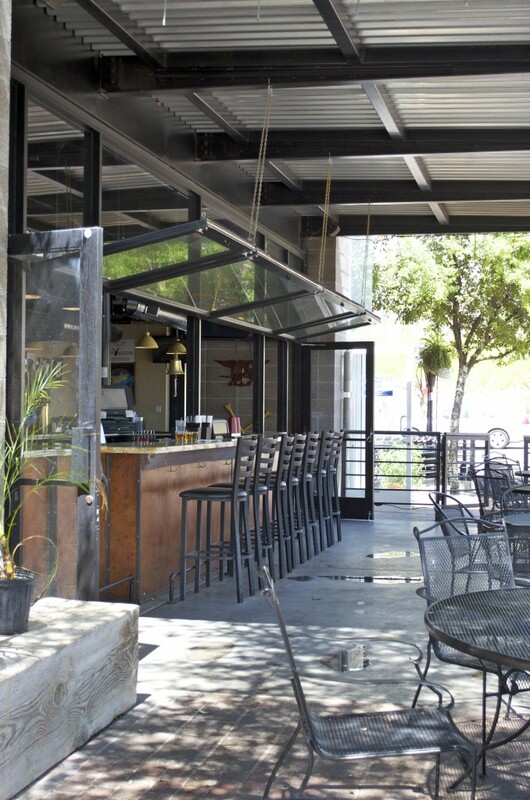 Just picture yourself at that table there with a cask ale in hand, the rumble of happy voices and burbling fermentors in the background and the smell of mash and hops floating across the warm breeze of an Arizona evening. Pure ecstasy. 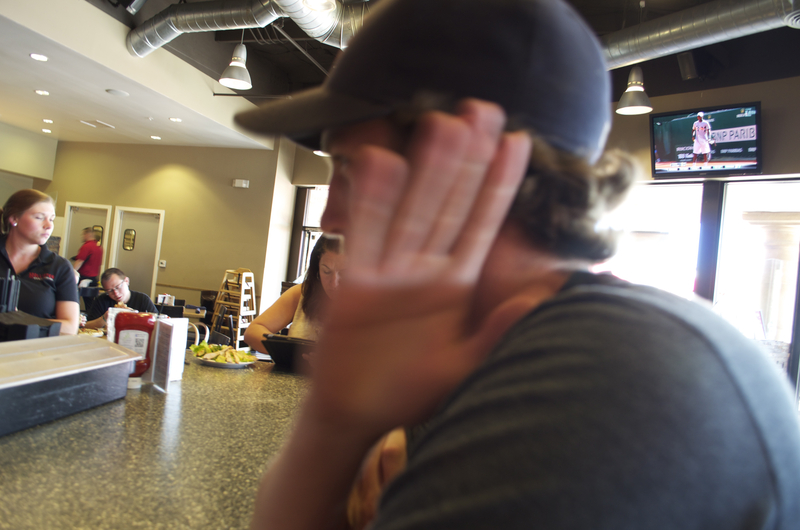 After my tour, I was sitting at the table and noticed THIS guy in a green shirt. I saw “Keep Calm” and shouted out, “Is that a Chive shirt?? ?” Indeed, it was! I need to get my own Chive shirt to rep! 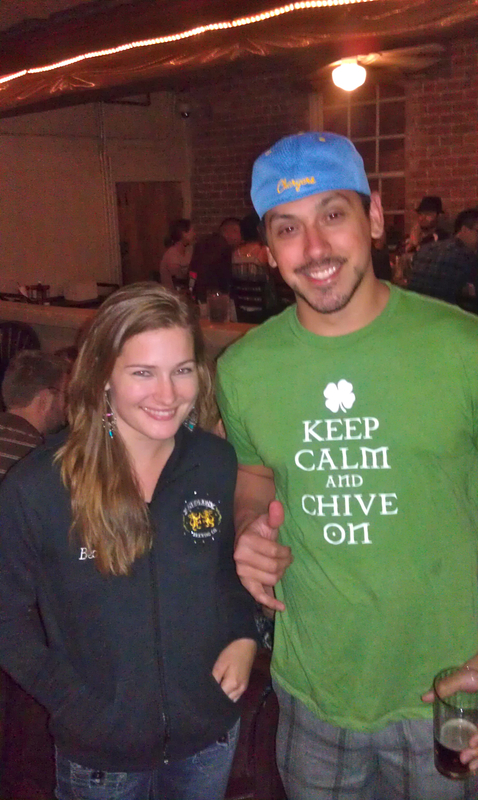 Loyal Chiver and Chivette running into each other at a craft brewery – completely awesome. 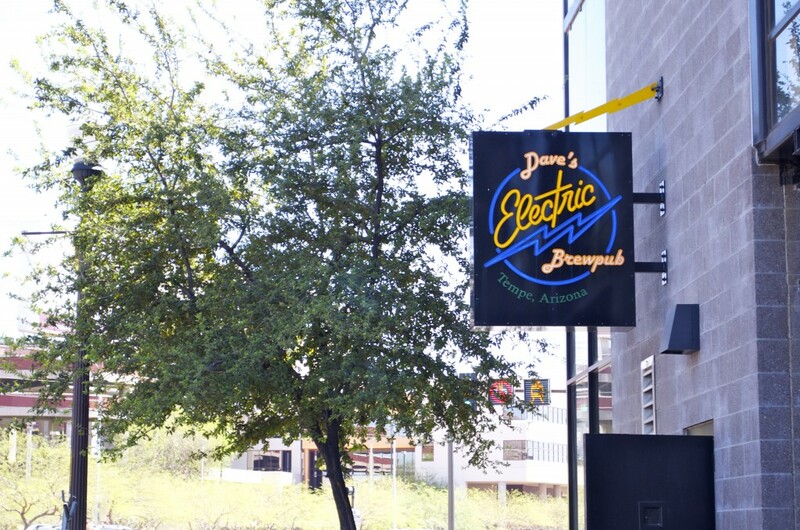 While I was in Tempe working the Festival of the Arts, I scrolled through my BeerWhere app and found out that there was a brewpub two blocks away. 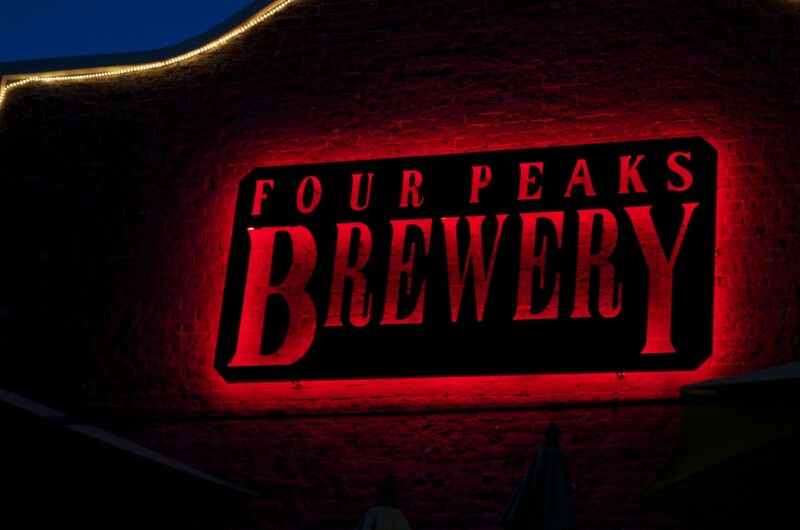 I already had plans to go to Four Peaks that evening, so I decided a warm-up would be good. The simple two-block walk warmed me enough as it was. I was NOT happy to be out in the 91 degree weather. The neon sign was a lovely sight after those hot three minutes. The bar opens to the patio, with a little bit of seating indoors. I opted to sit outside and enjoy the cool breeze that rolled across the sidewalk while there was still some shade. 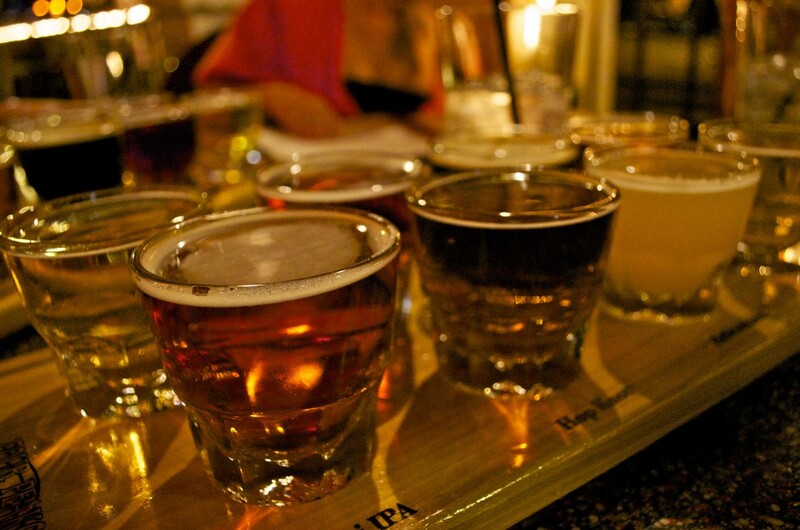 I opted for a flight of all of the house brews – duh. Of all six, my favorite was the Old Frog Stout. The Training Wheels had a hint of acetaldehyde – could stand with a little more conditioning in the fermentor, and the Golden Strand had a relatively heavy dose of diacetyl – nothing a few days at a higher temperature (diacetyl rest) wouldn’t fix, with all of my knowledge (sarcasm) about fixing off flavors in beer. The Old Frog, however, was lovely! 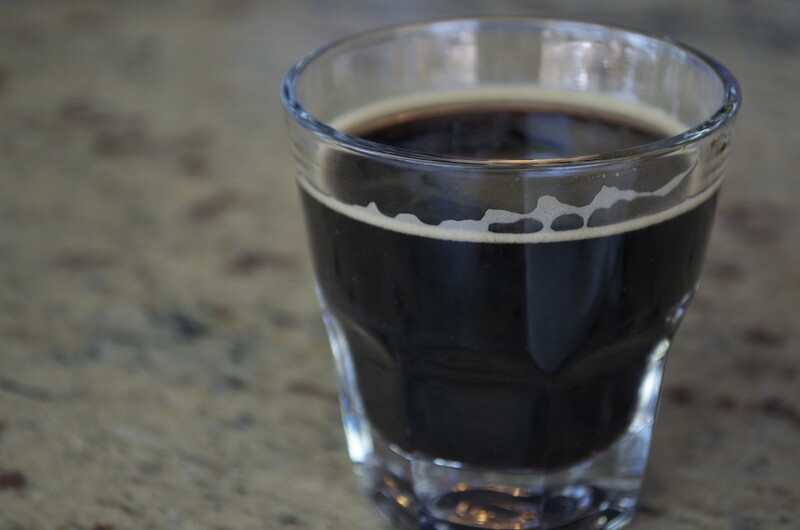 The aroma was full of coffee and chocolate, the first sip full of extreme roast and warm espresso, medium low mouthfeel and finished with a slight bite from the hops. It was a little thin to the finish, but then again I love the really chewy stouts that linger between your teeth for hours after. For Arizona heat, this is a stout I would go out and order in the middle of the day to cool off with an extra dose of flavor you don’t get from lighter “summer” beers. 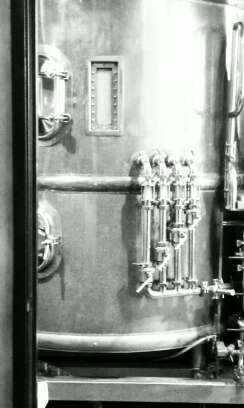 I got to peek into the brewery as well. They have a seven barrel system and large windows on the outside so you can peek in if you’re curious. 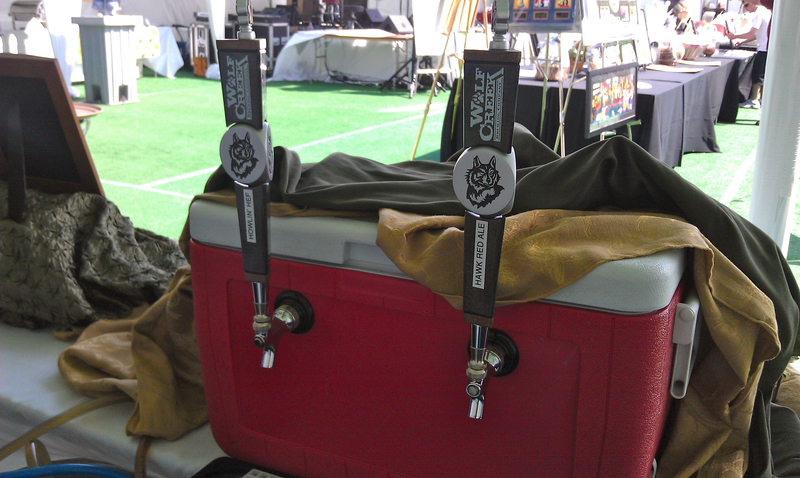 The owner was busy in the back room kegging up some IPA to take to the beer gardens back at the art festival. Spending a day surrounded by new brews, breweries and fermentors is bliss.